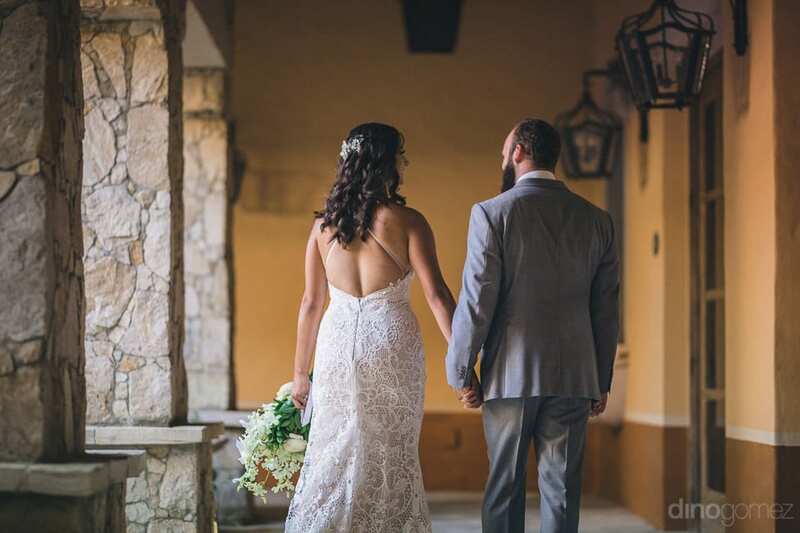 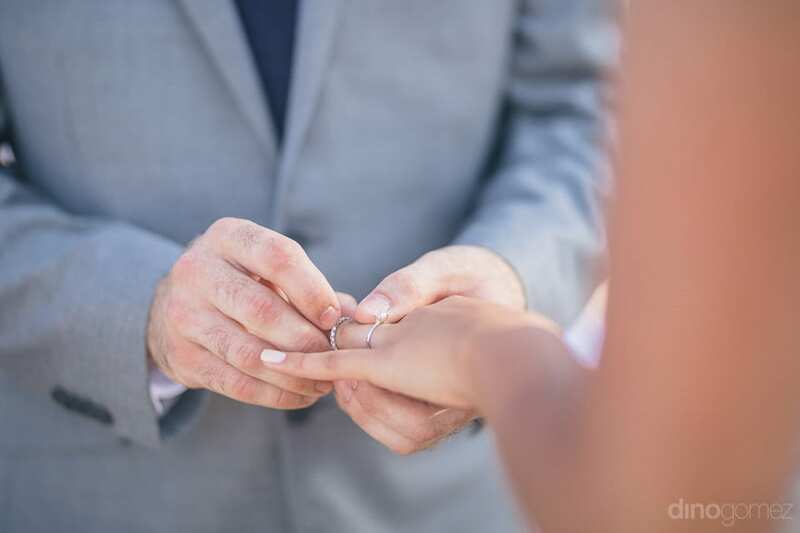 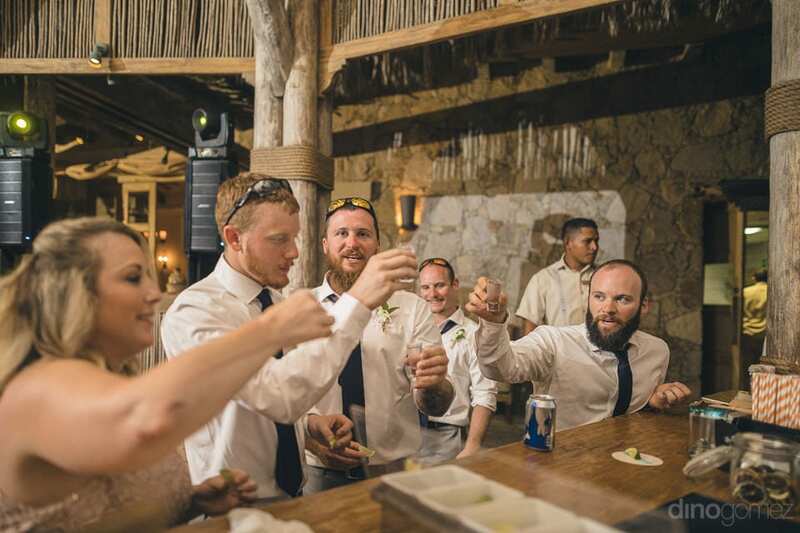 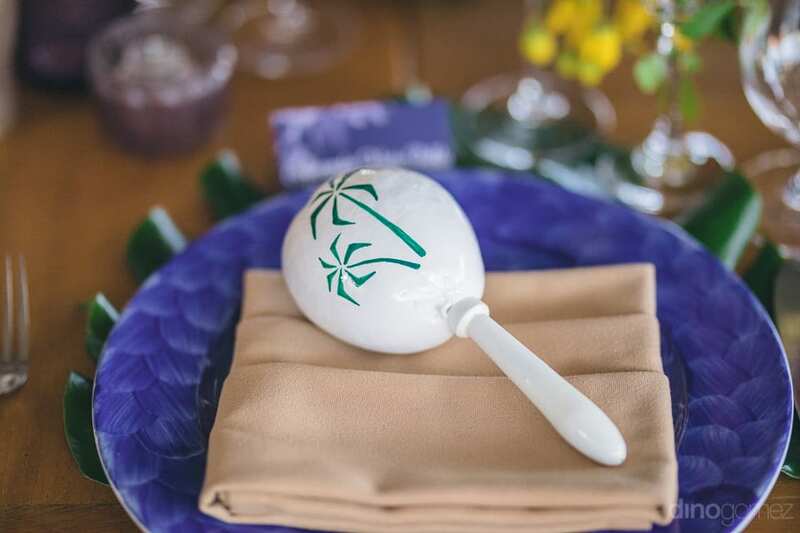 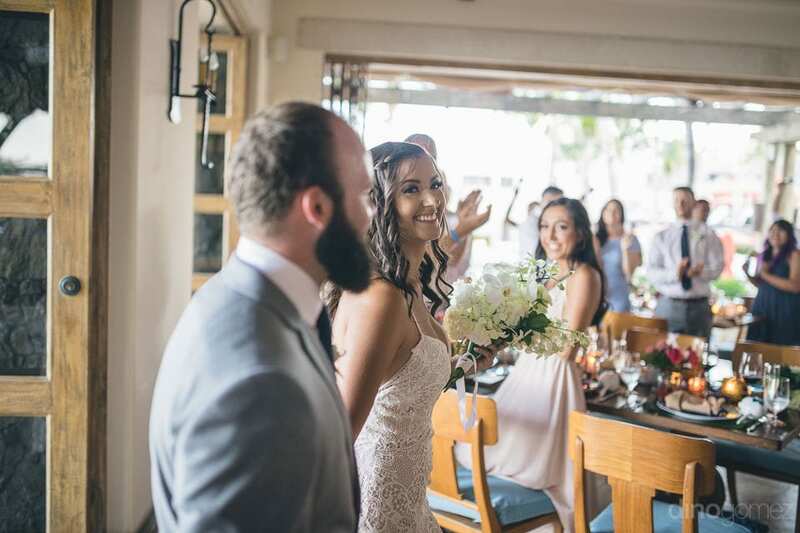 Planning a destination wedding at the Hacienda Cocina Los Cabos? 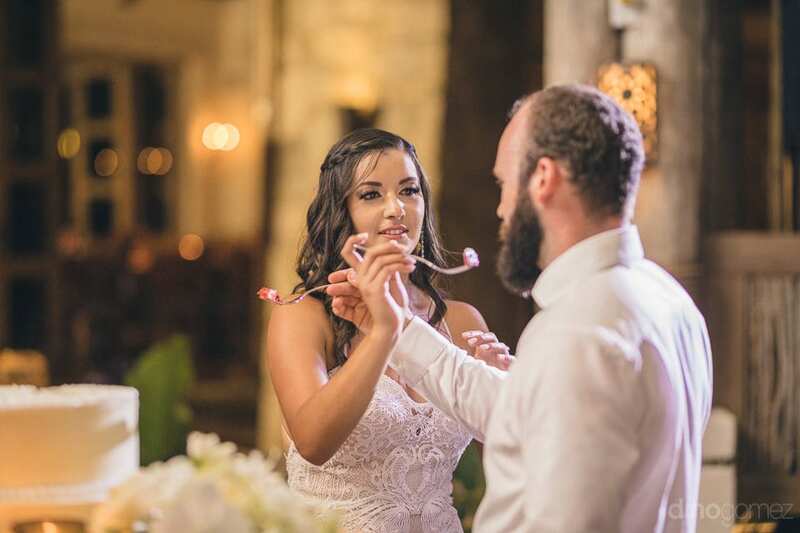 “Couples are made in Heaven” is righteously proved by the lovely couple of Nicole and Ryan. 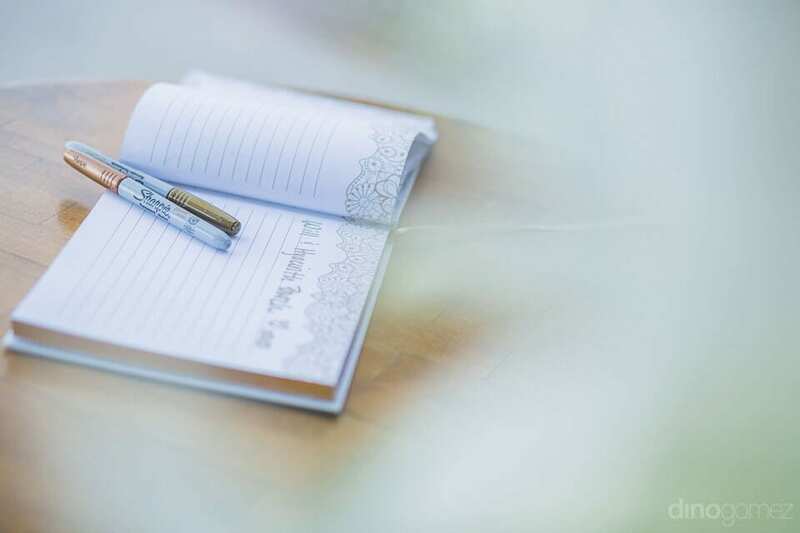 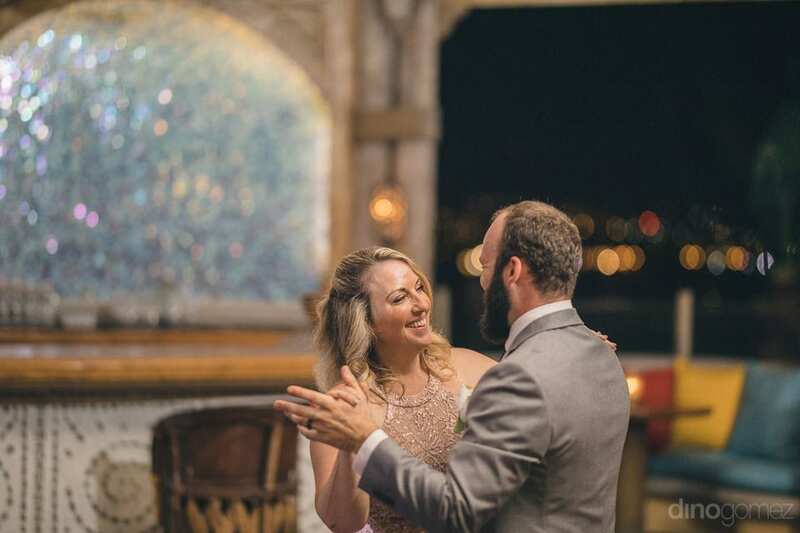 Two people with different personalities yet similar interests have proved that the destiny plays a major role in connecting two individuals into one soul for a lifetime. 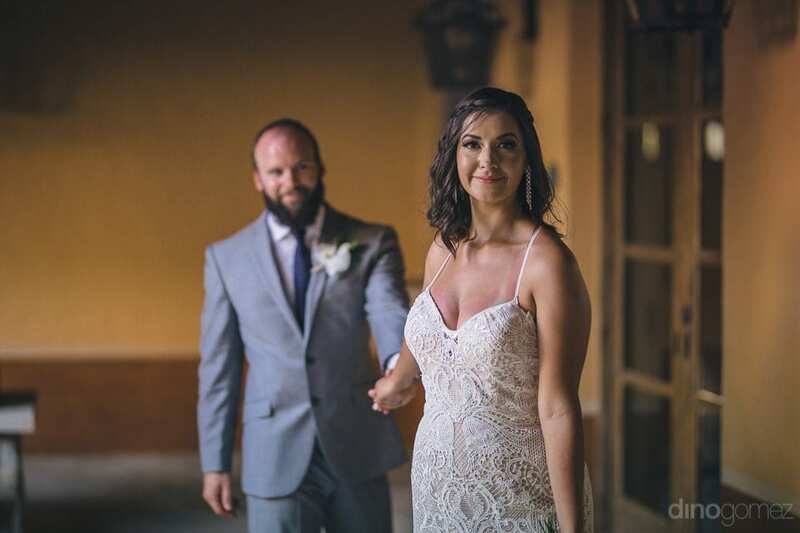 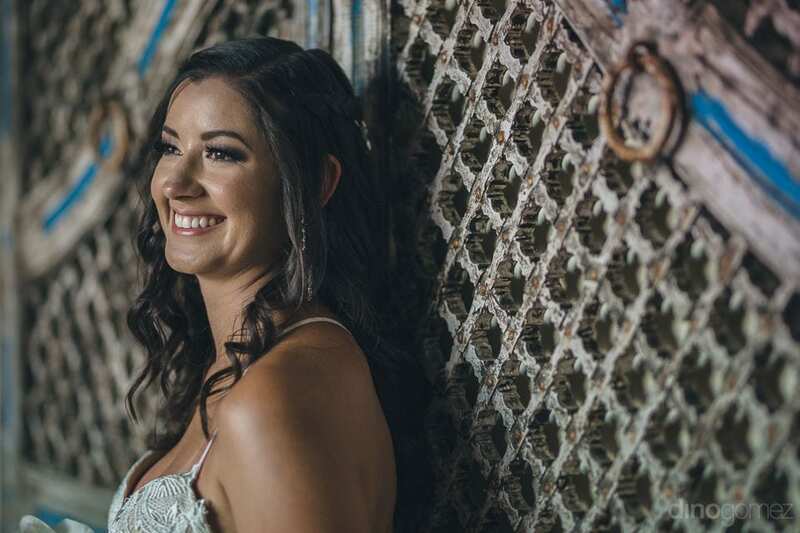 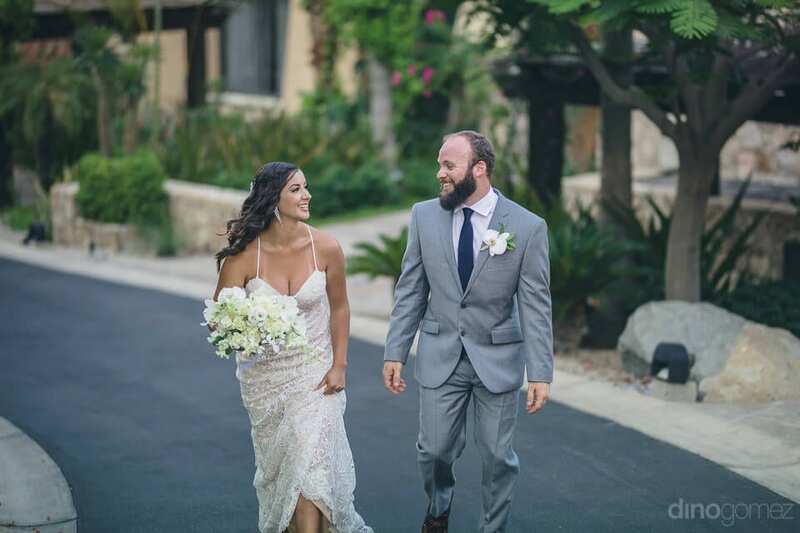 Our lovely bride, Nicole is an independent and smart lady who works as a project manager and an accountant in a construction company. 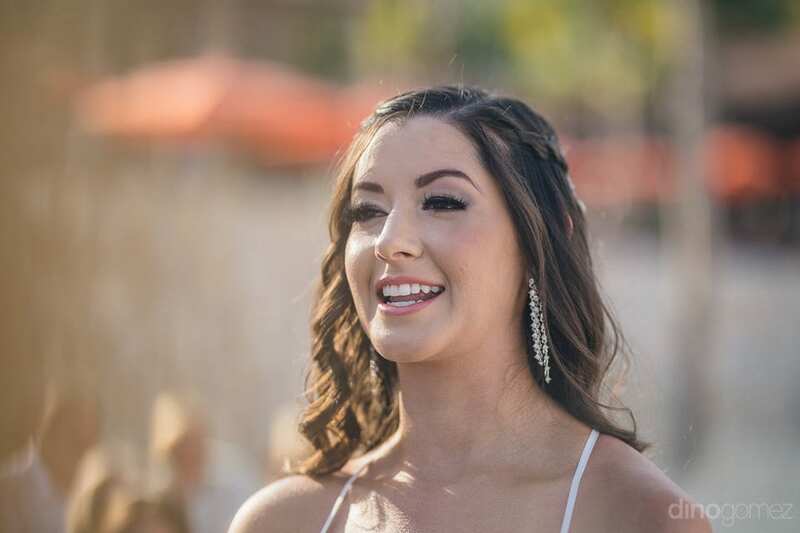 She is passionate about her career and is an equally family-oriented person. 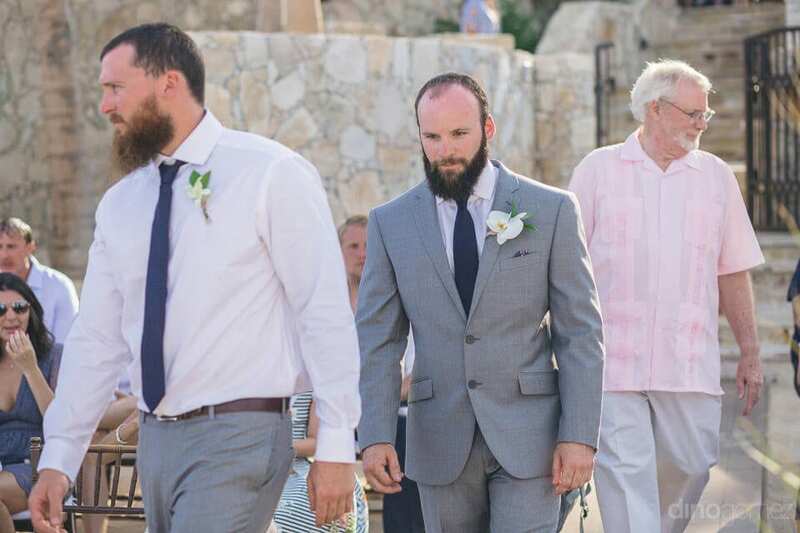 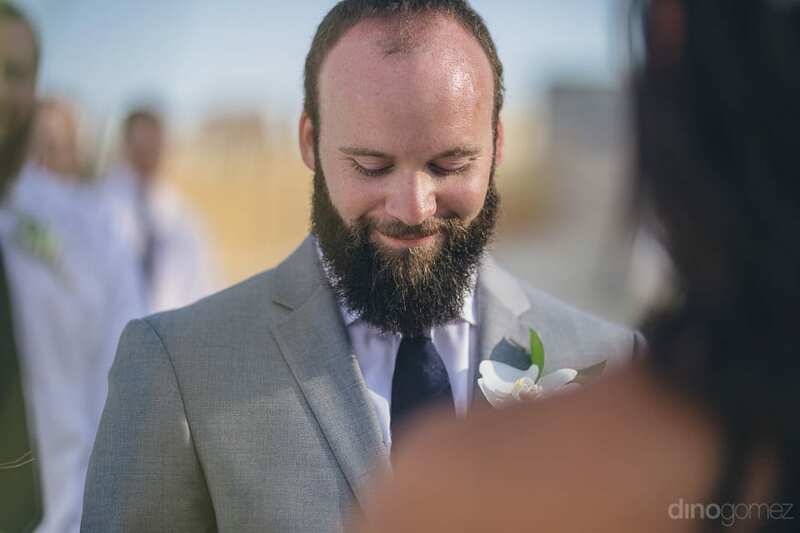 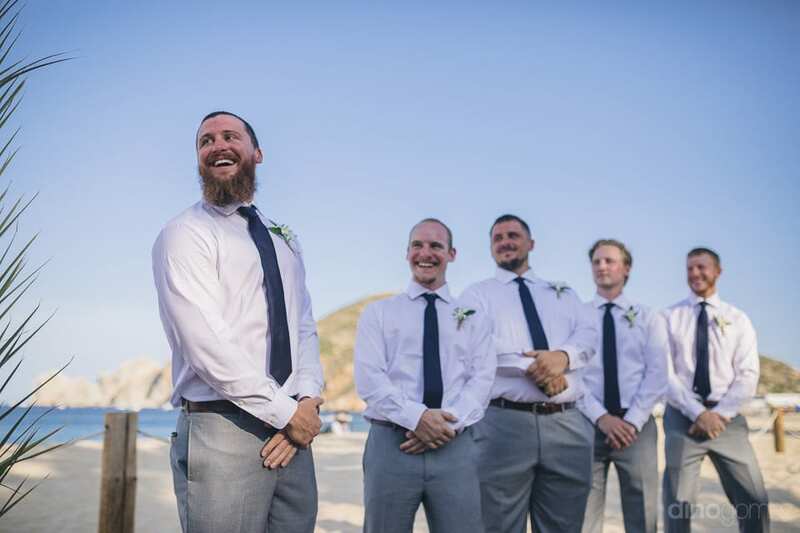 Whereas, the handsome groom: Ryan works as an electrician. 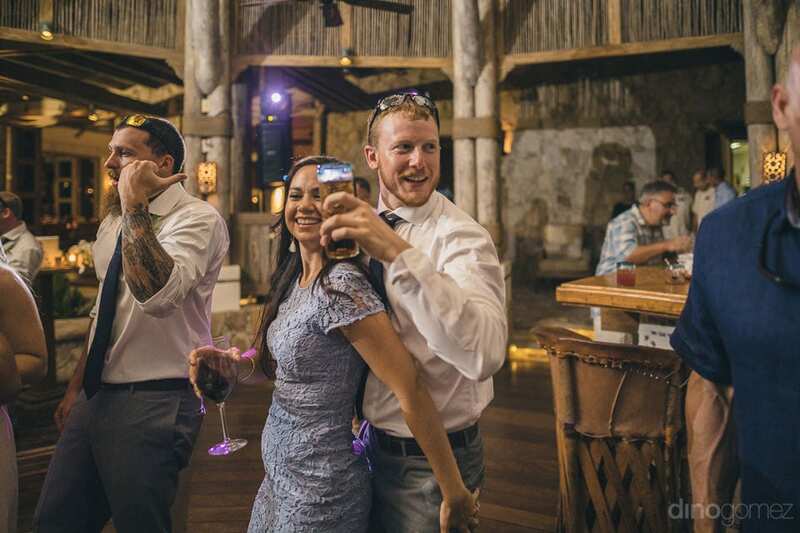 Ryan and Nicole are totally of the opposite nature. 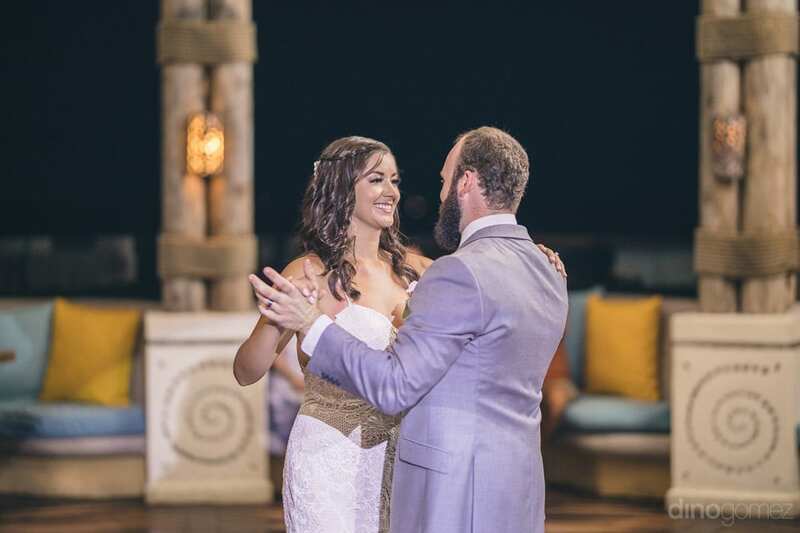 Ryan is a goofball person and keeps on doing silly things to keep Nicole happy and Nicole carries completely different personality. 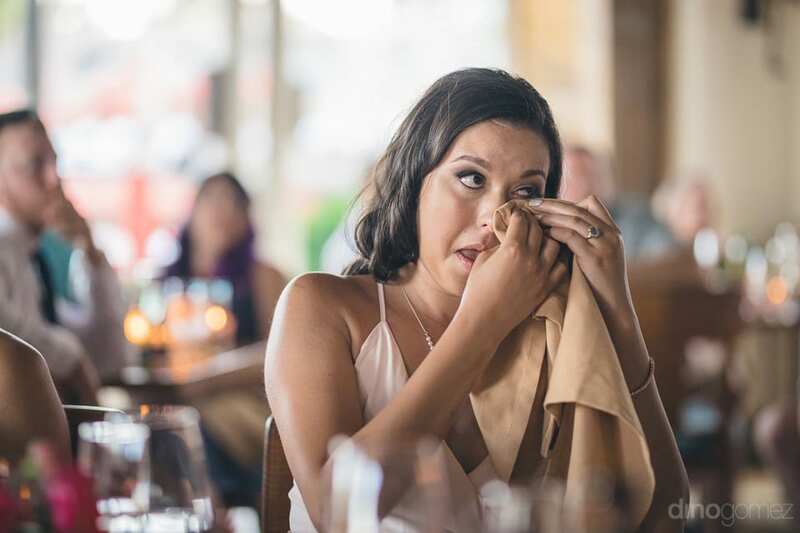 She is a little bit reserved and a serious kind of person. 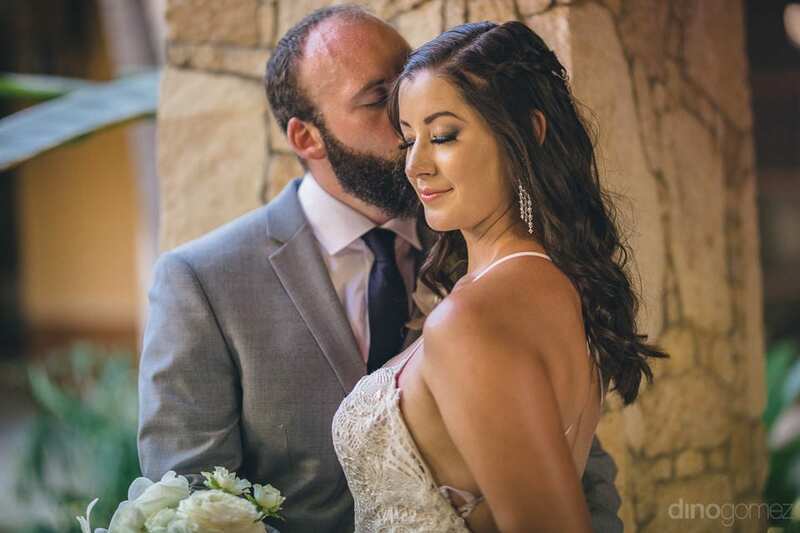 But, the gap in their personalities has never affected their love for each other rather has deepened their love other as they bring out the best in each other. 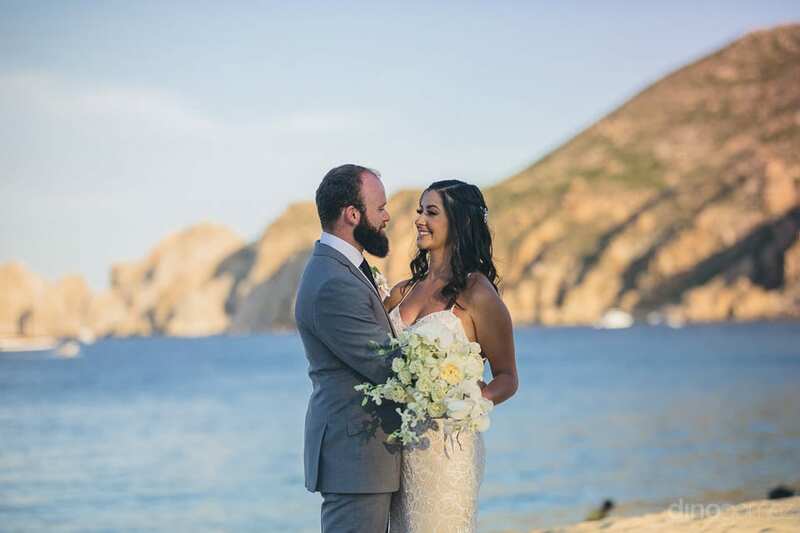 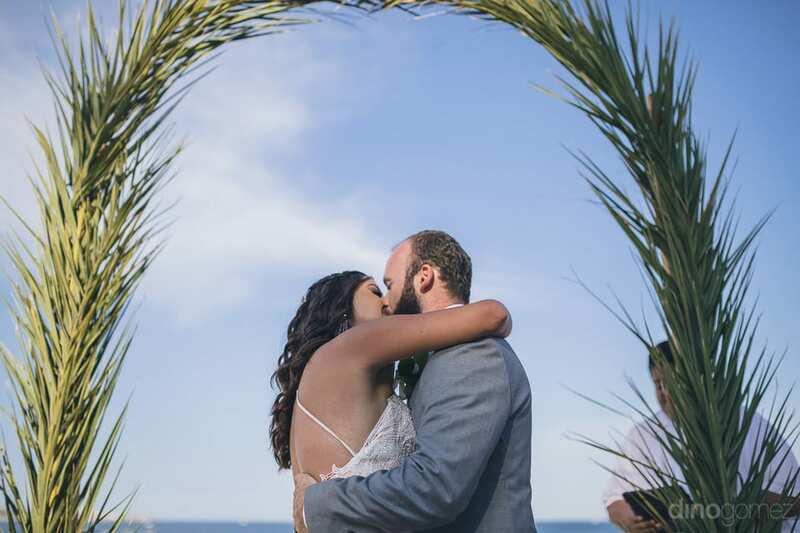 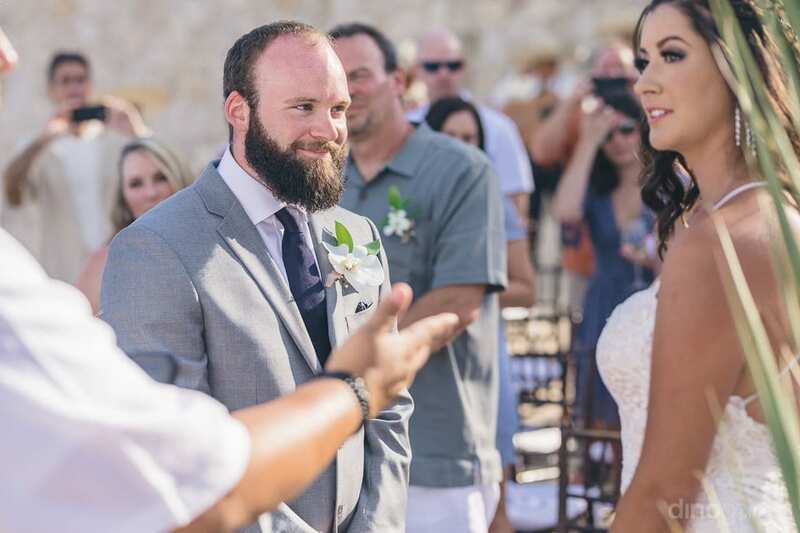 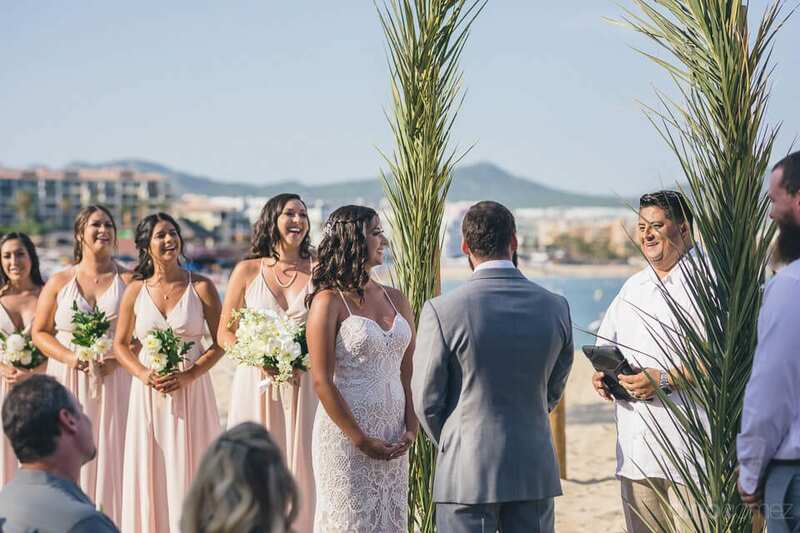 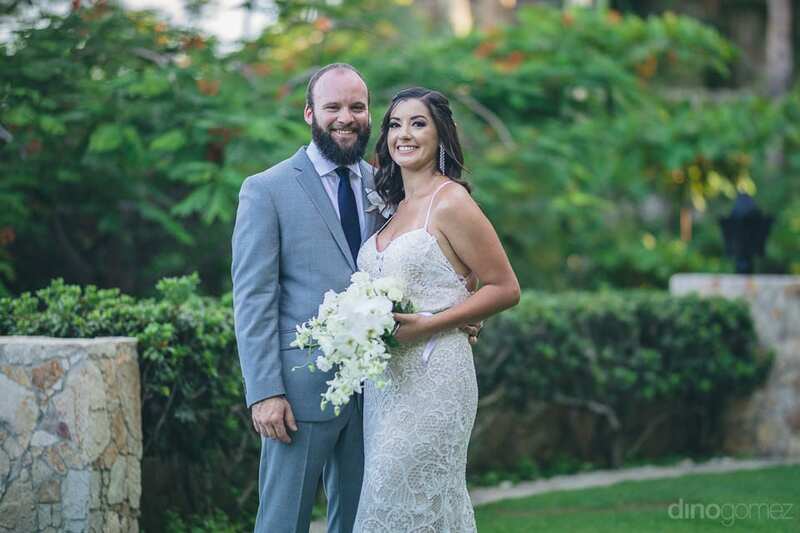 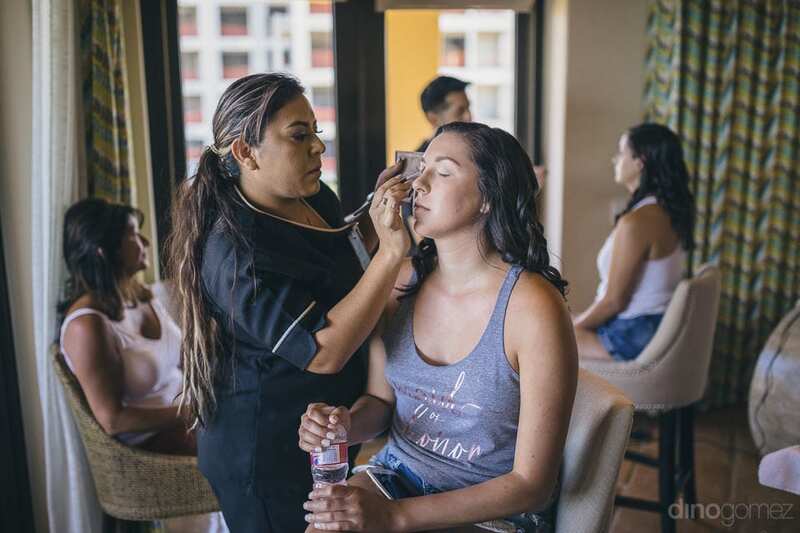 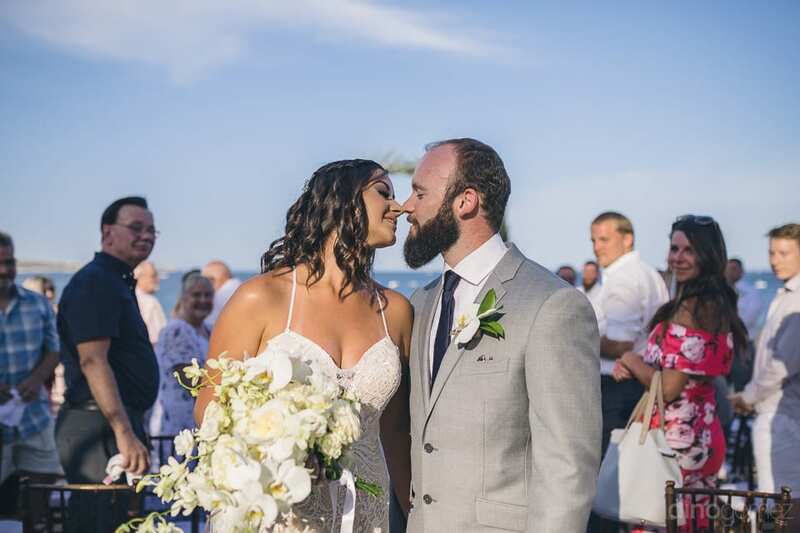 The couple decided to get married to each other in the presence of their loved ones at the beautiful Beach at Hacienda Beach Club. 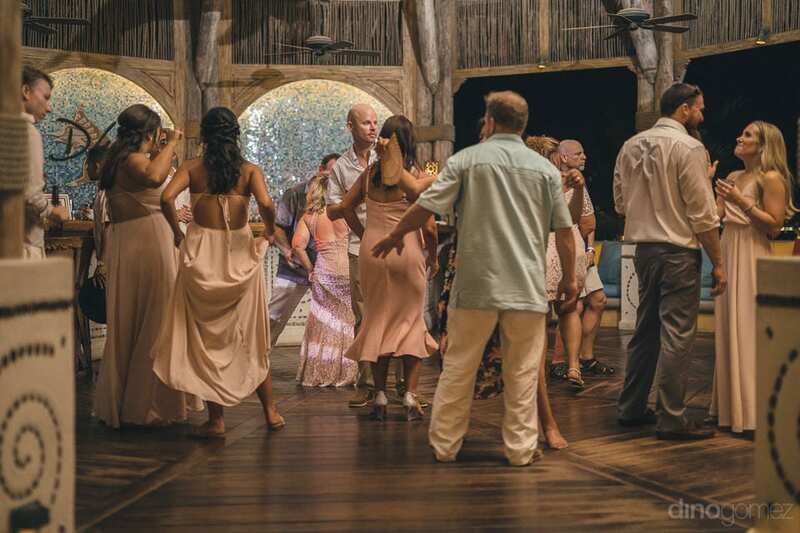 The wedding was a big hit among the guests owing to the perfect arrangements made by the wedding coordinators. 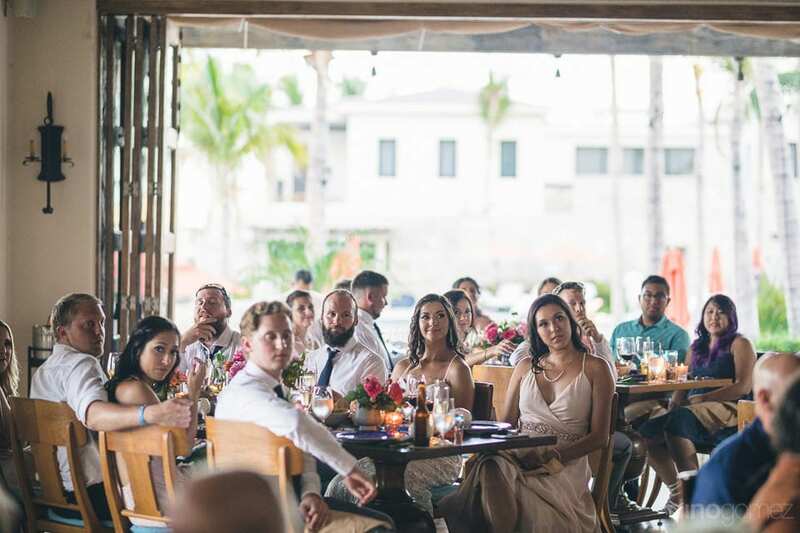 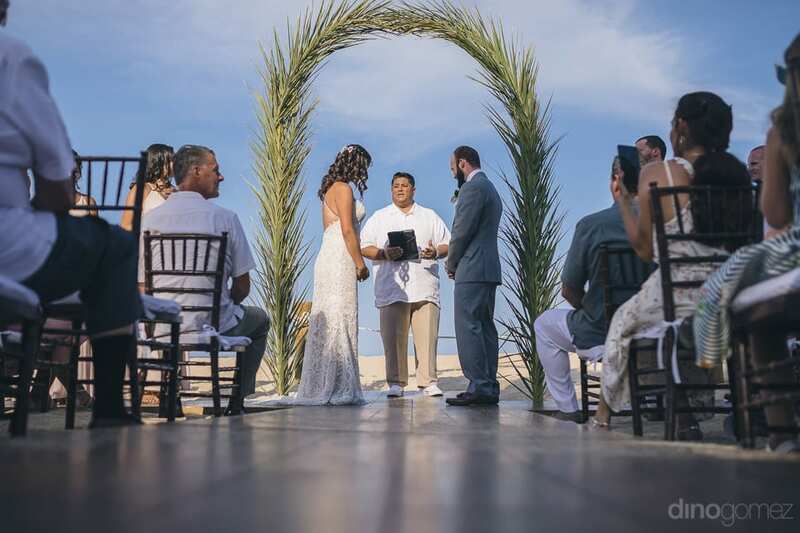 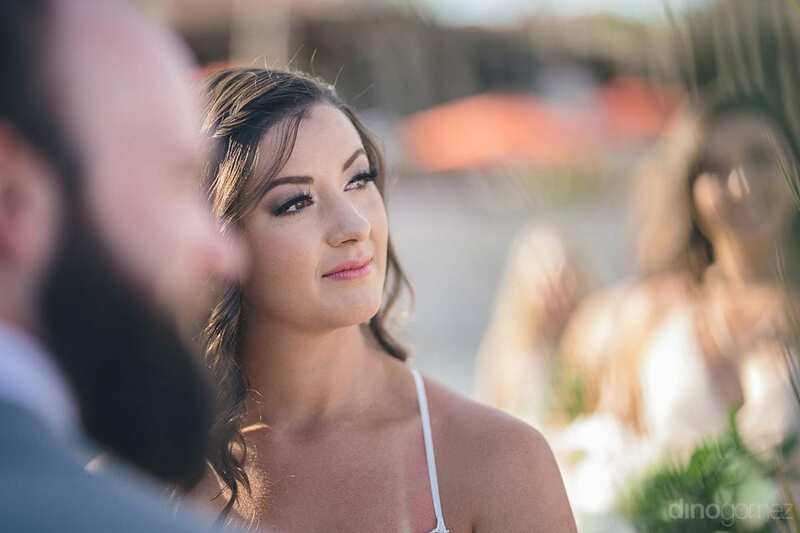 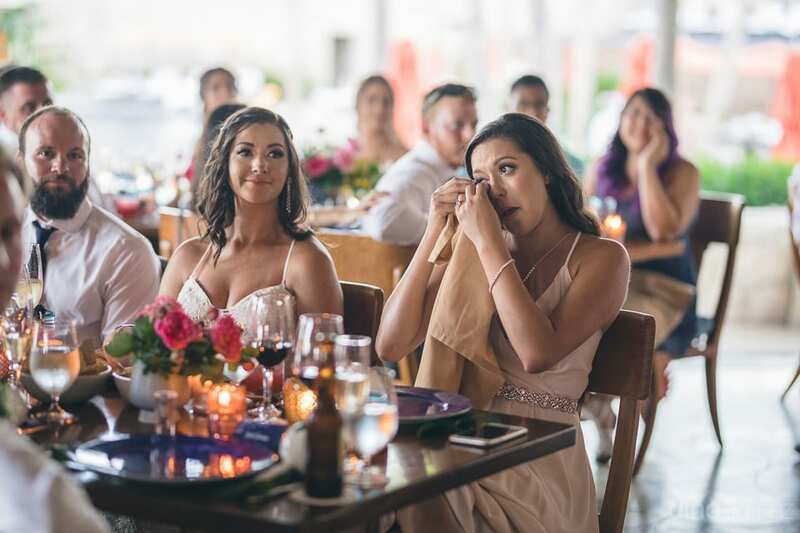 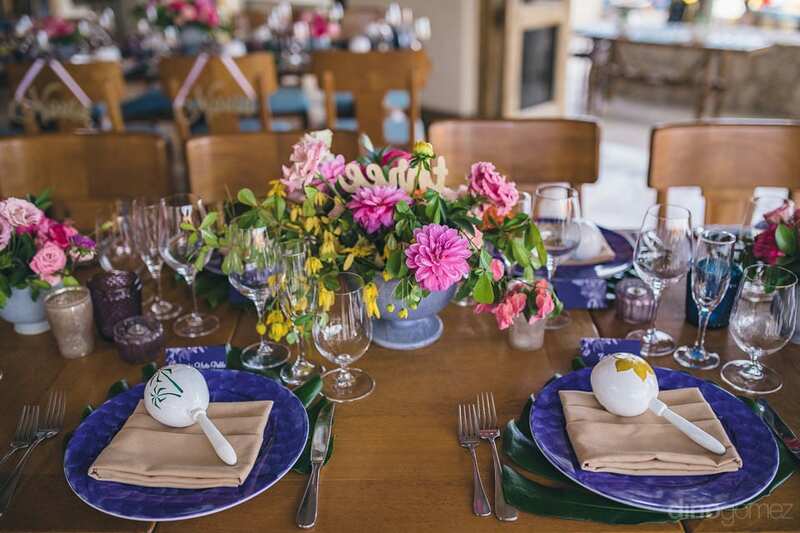 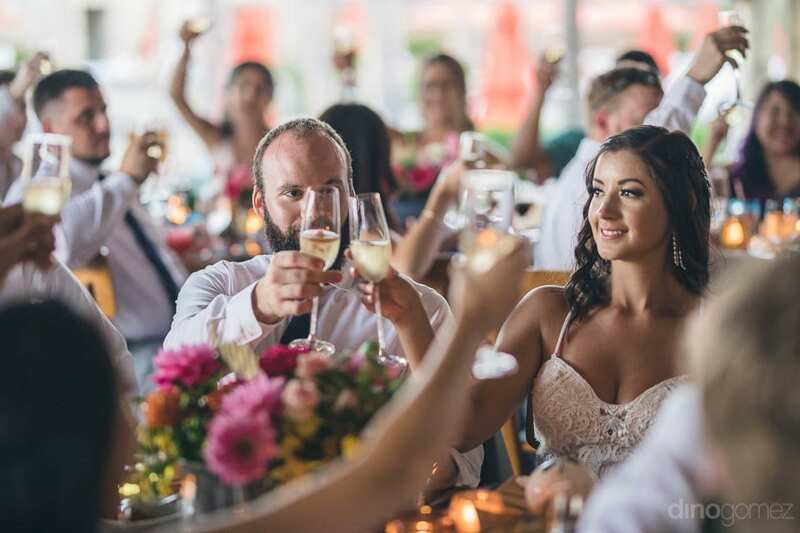 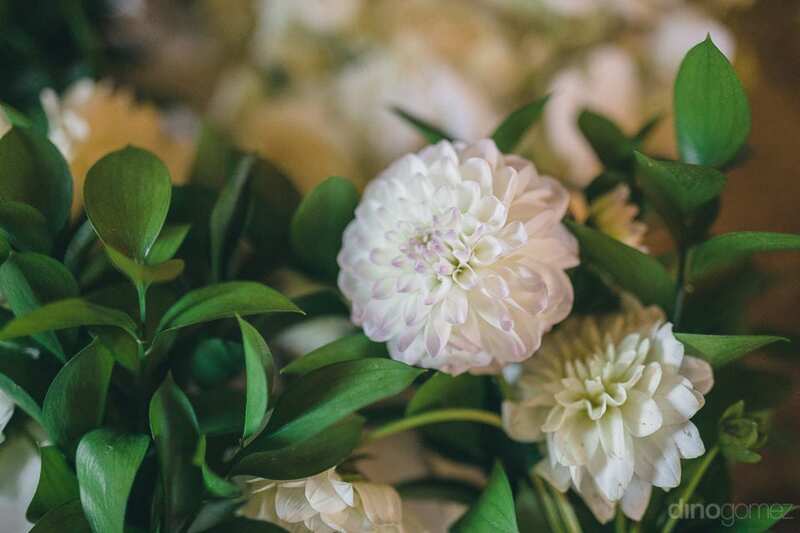 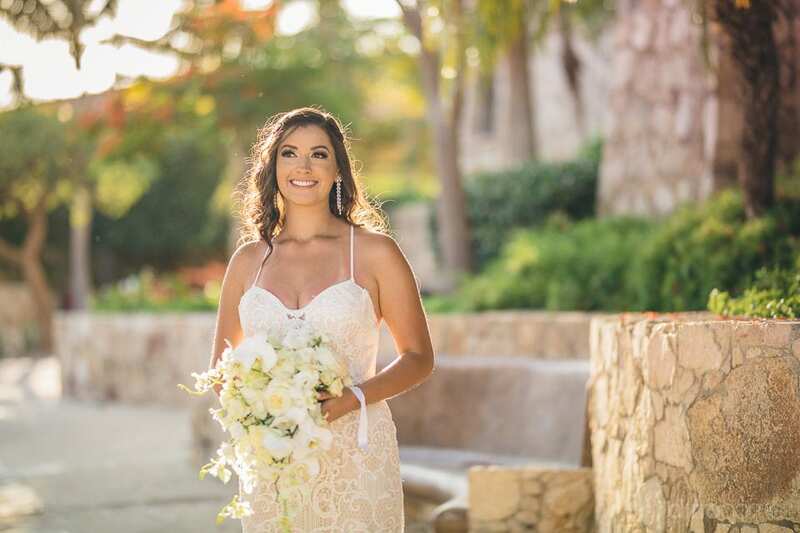 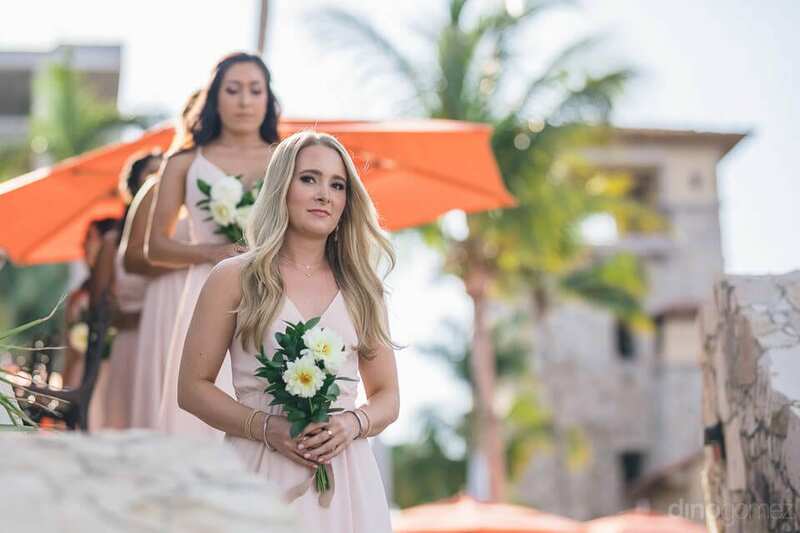 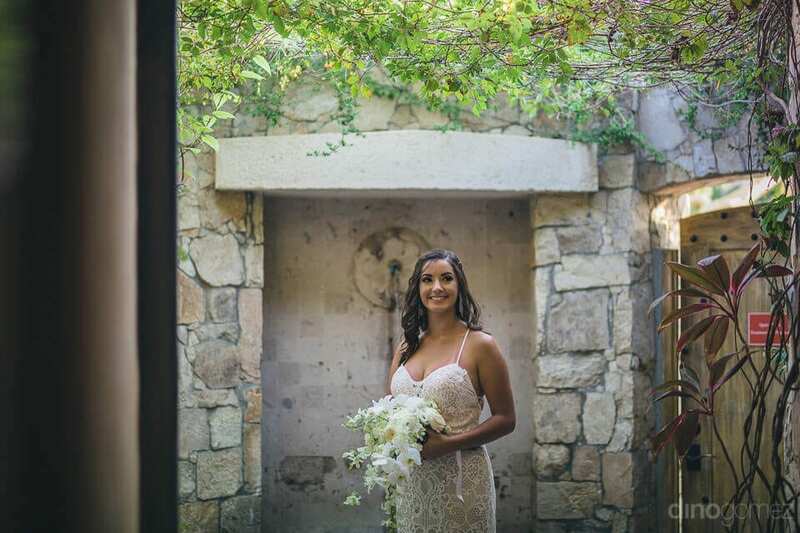 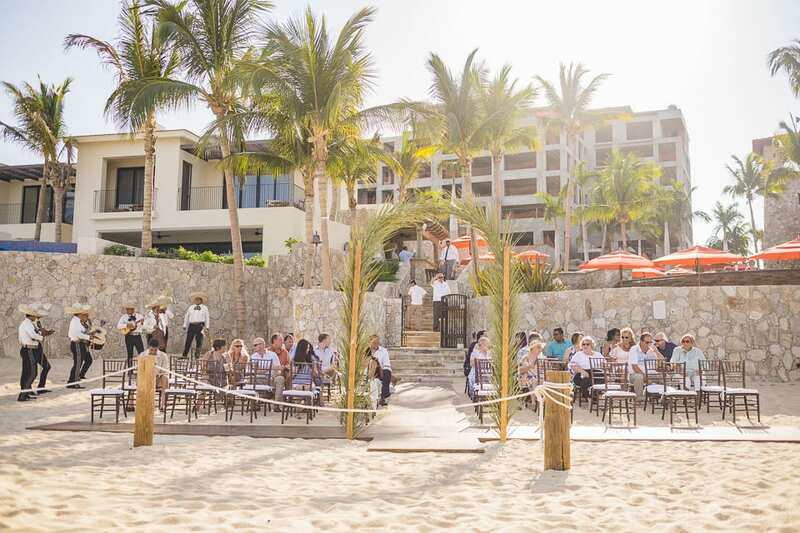 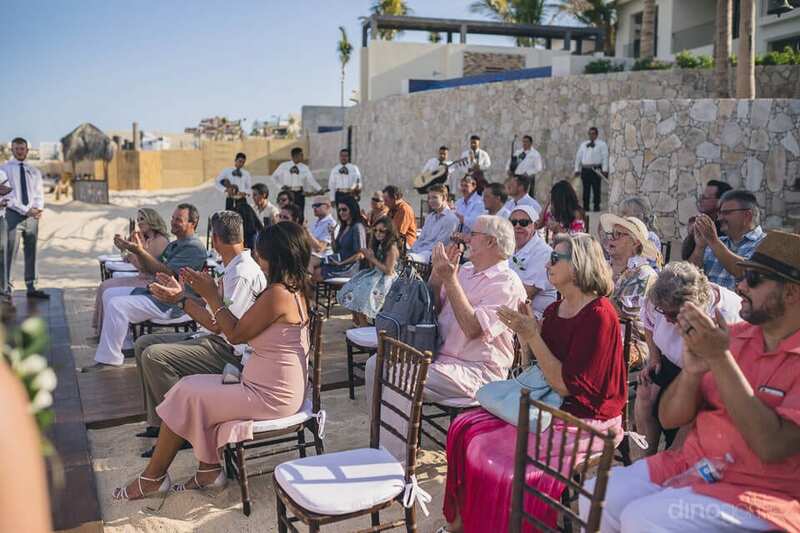 The wedding venue was set near the sea under the open sky and the wedding stage was beautifully built in front of the beach and was decorated perfectly by one of the best florists in the Los Cabos area, Let it be Events. 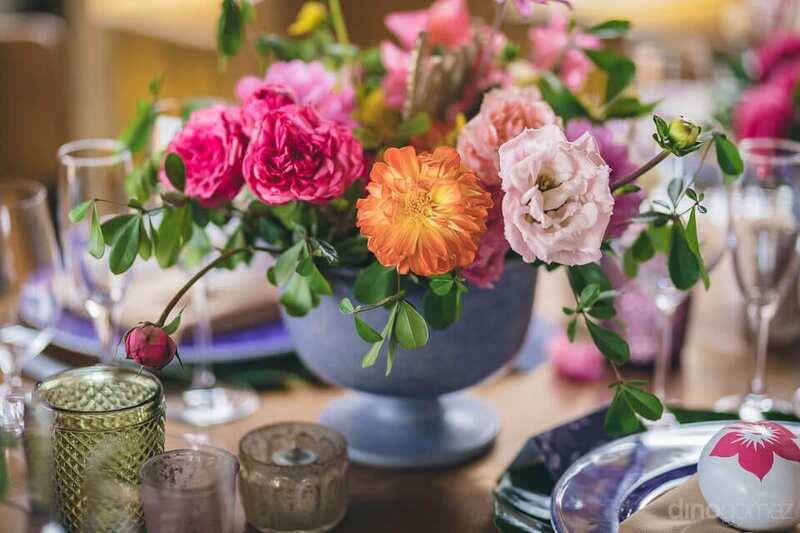 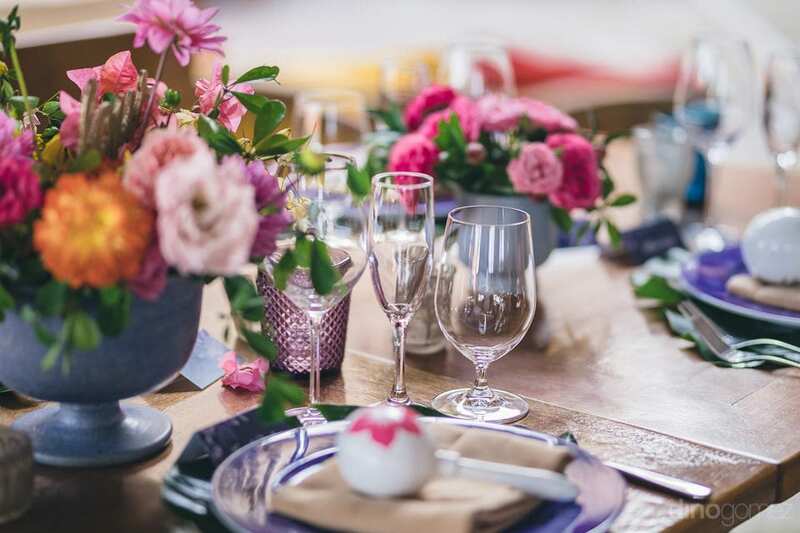 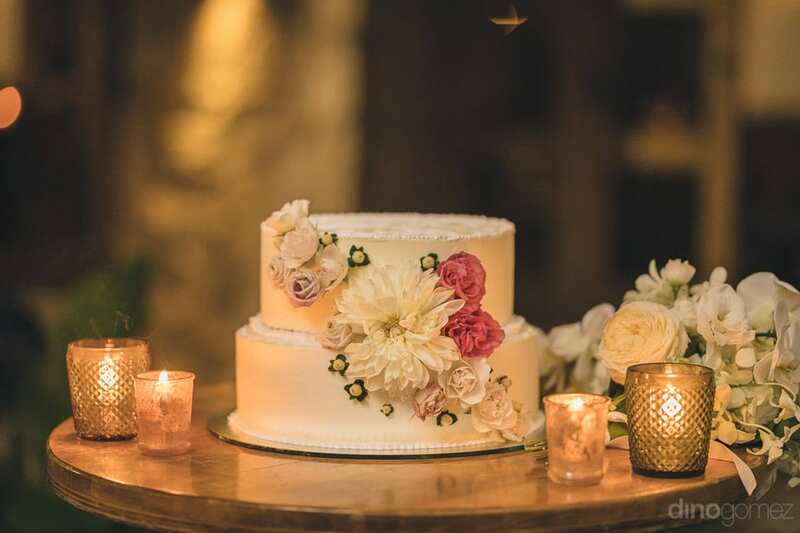 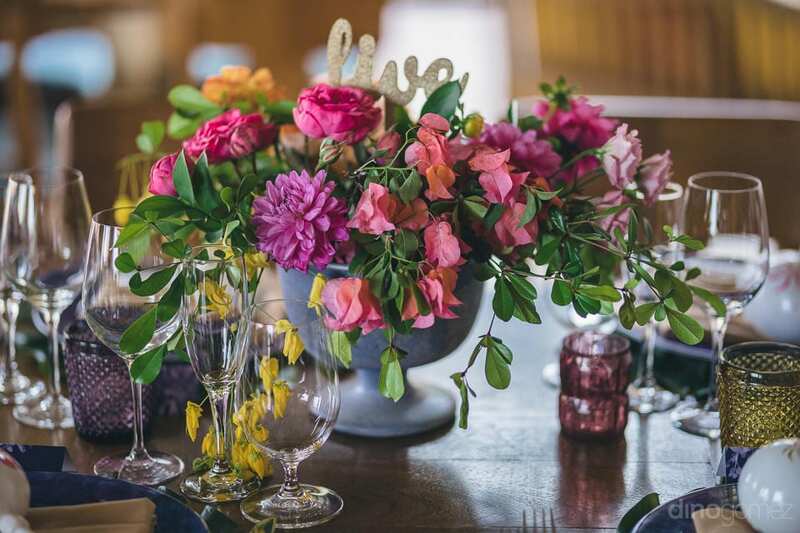 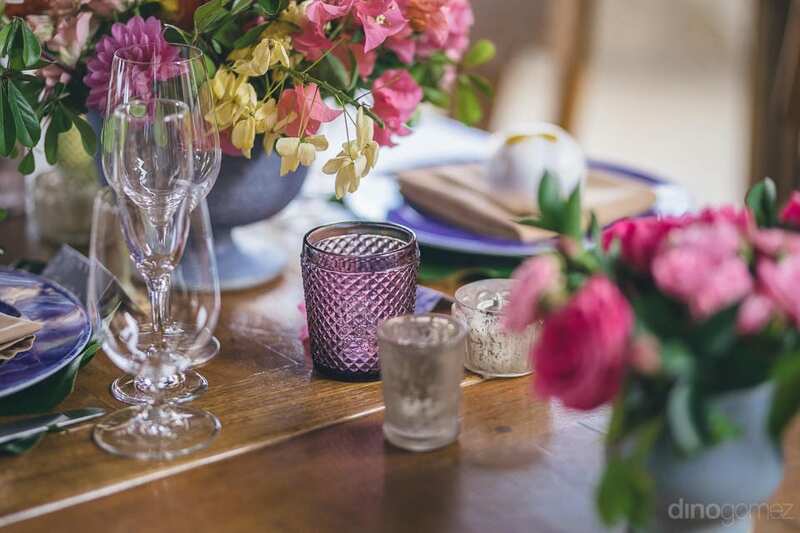 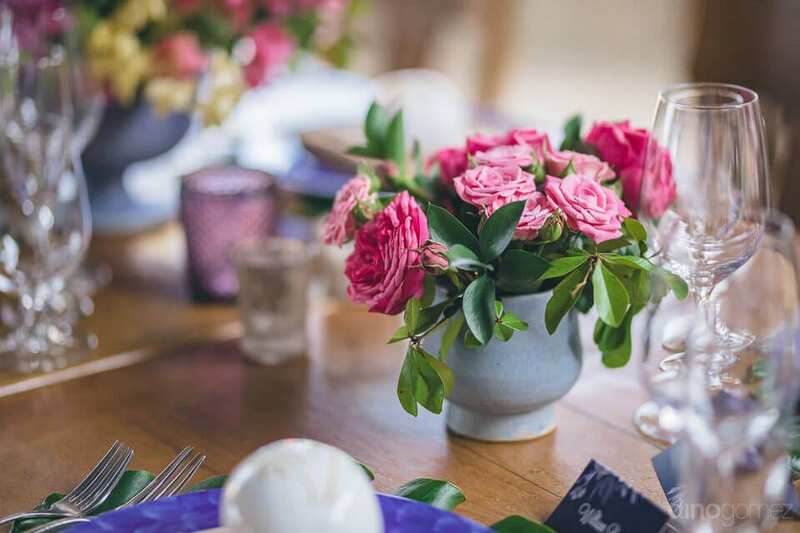 Not only the wedding venue but the dining table of the lovely couple’s party too was beautifully decorated with multi-colored flowers by the florist. 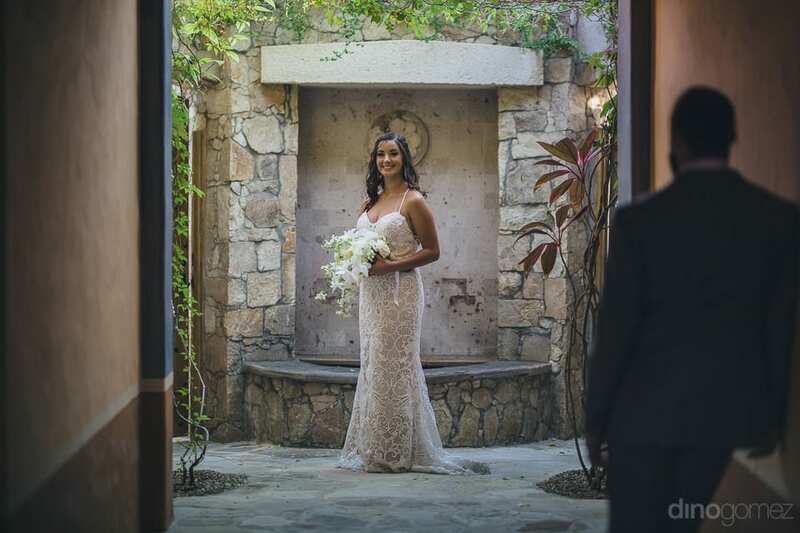 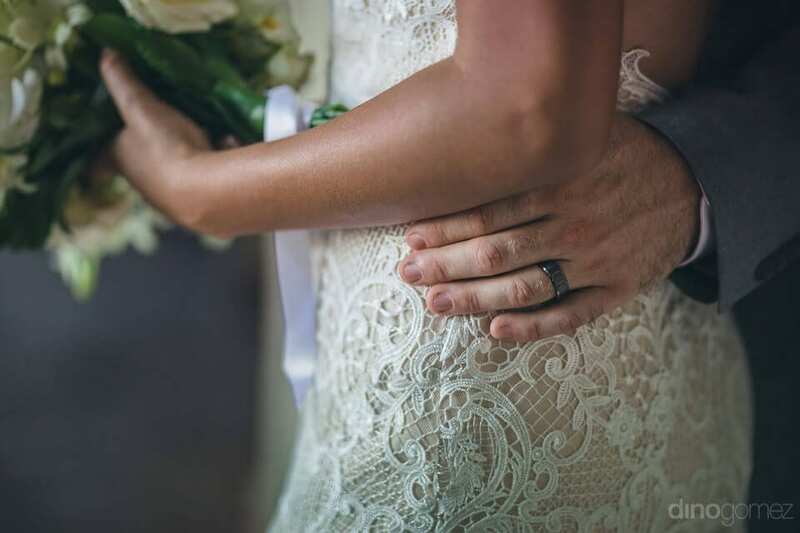 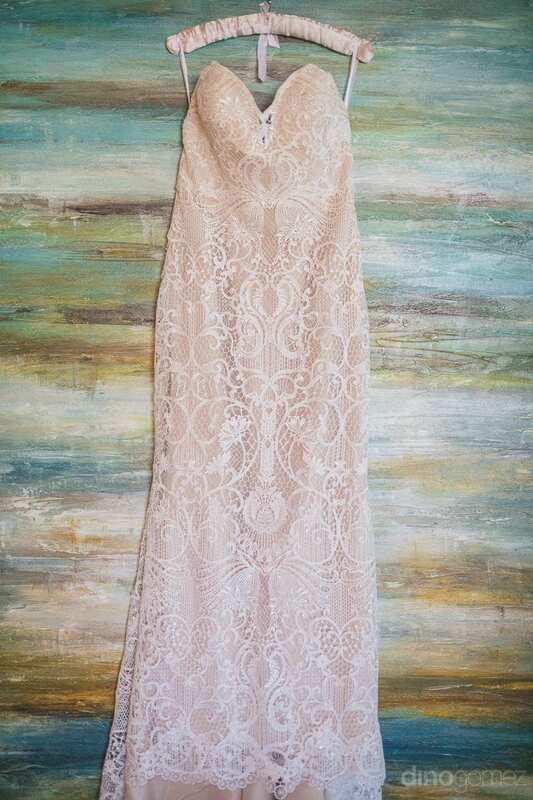 The gorgeous bride was wearing a beautiful wedding gown designed by one of the best dress designers, Soliloquily Bridal Couture with lace detailing all over the gown. 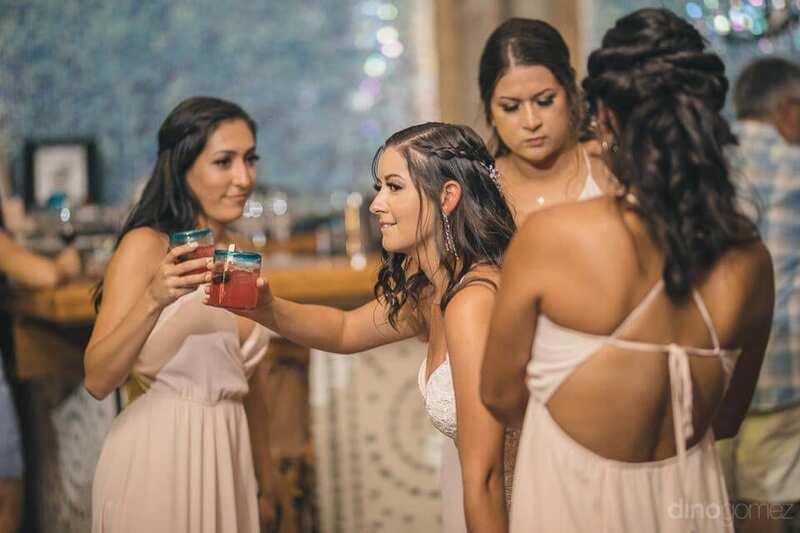 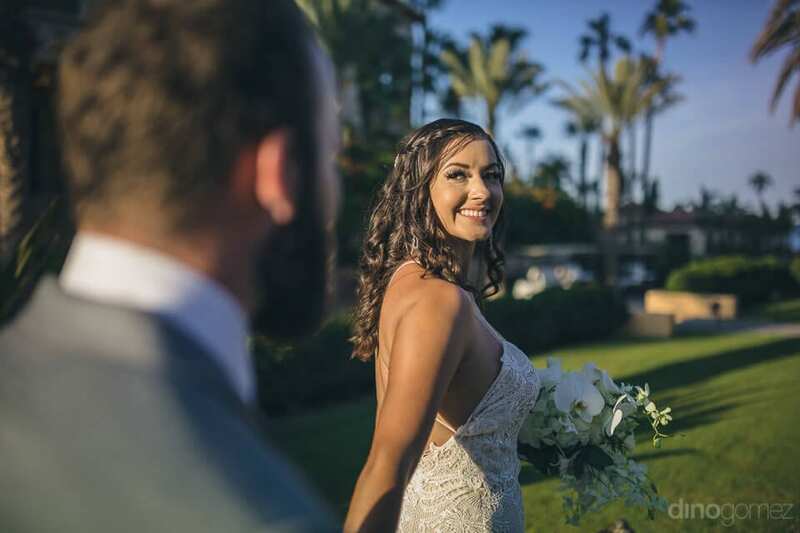 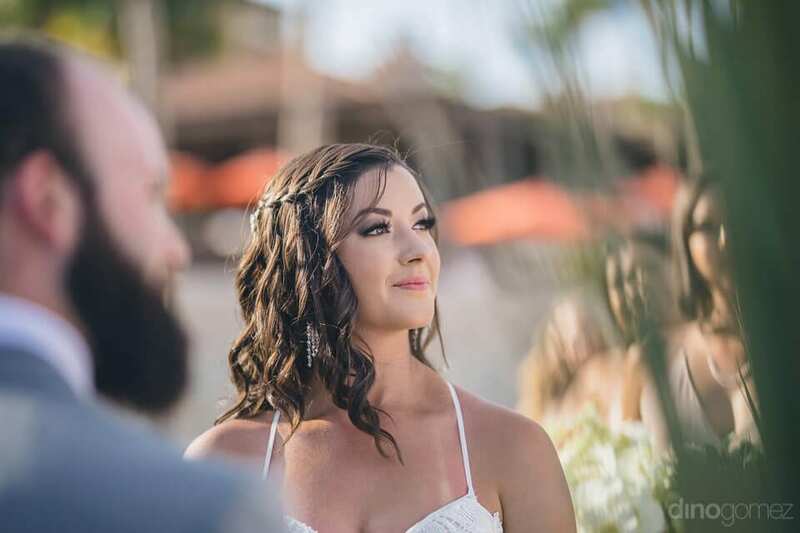 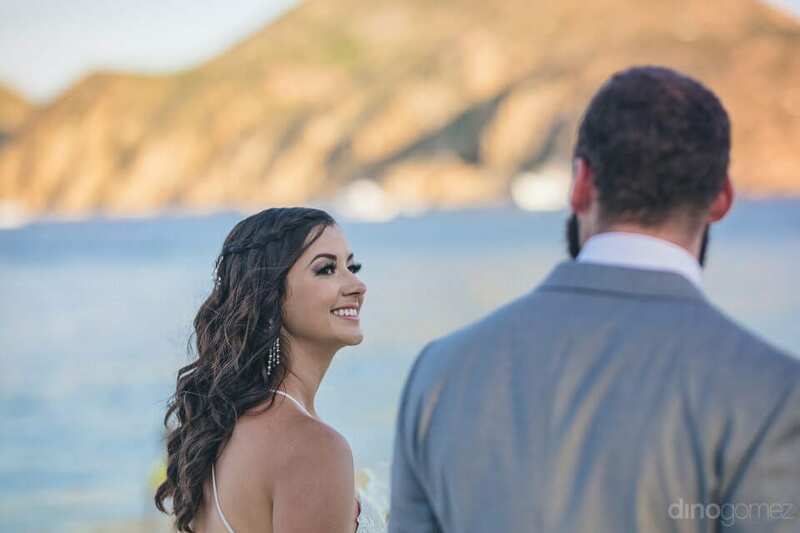 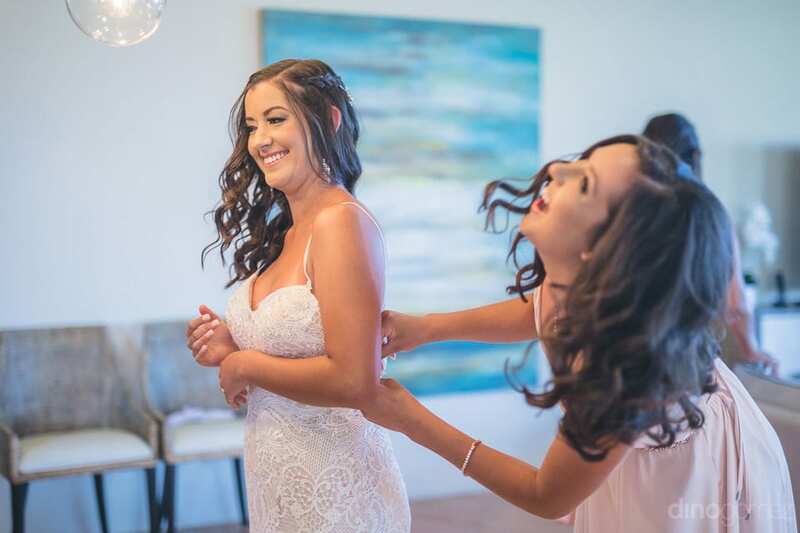 The pretty bride was carrying a unique hairstyle on her wedding day given by one of the top hairstylists of Los Cabos, Suzanne Morel Face & Body Care. 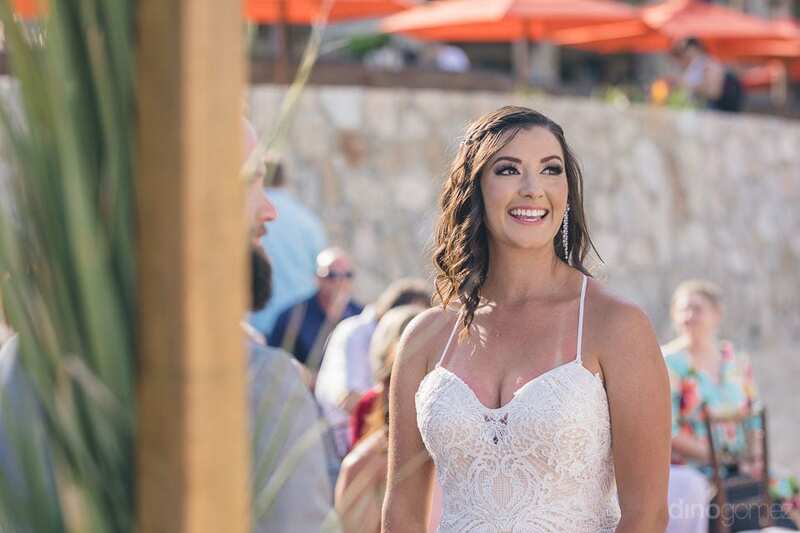 She looked divine in her wedding gown and perfect makeup by the fantastic makeup artists of the Suzanne Morel Face & Body Care. 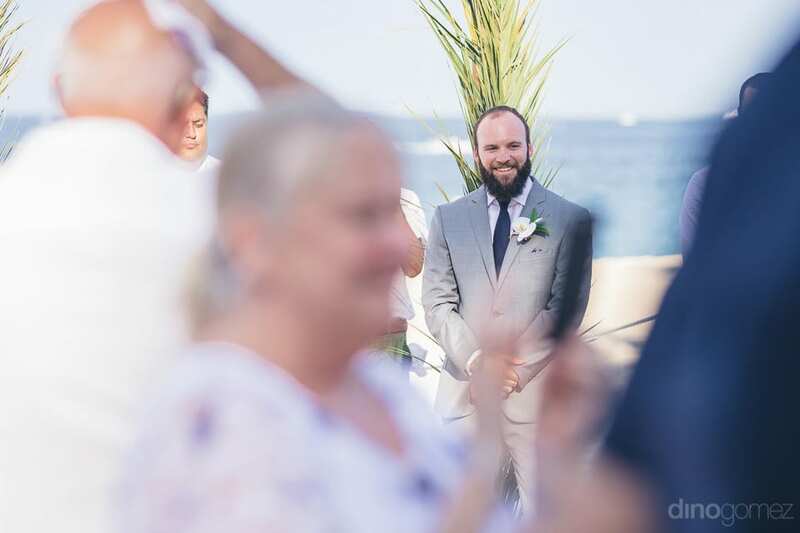 The groom even looked handsome wearing a formal suit in color complementing the pretty bride’s dress. 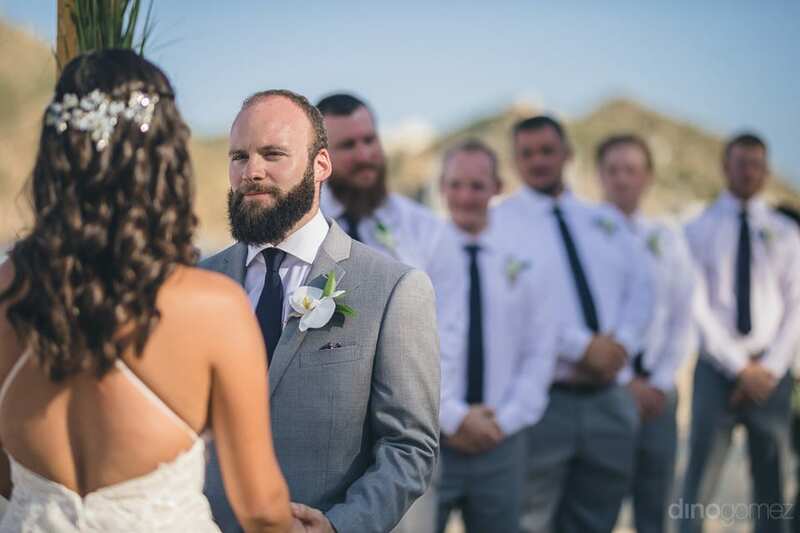 The wedding took place just in time and smoothly like the personalities of the newly married couple. 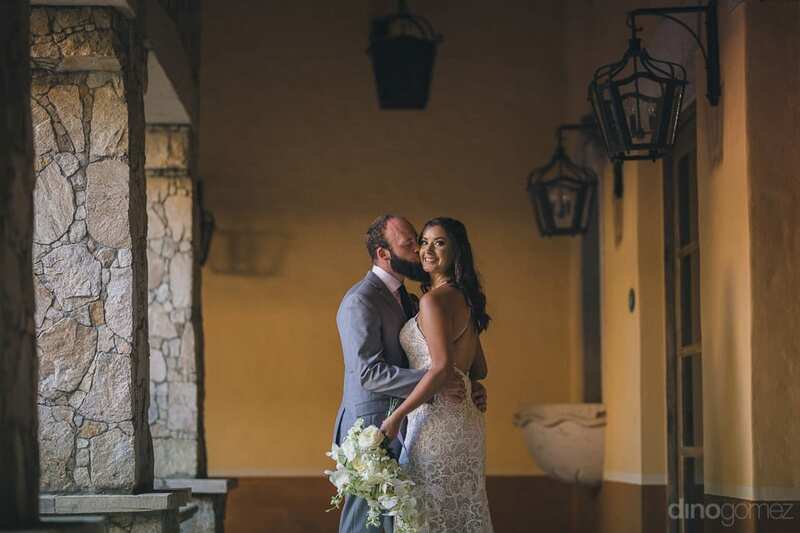 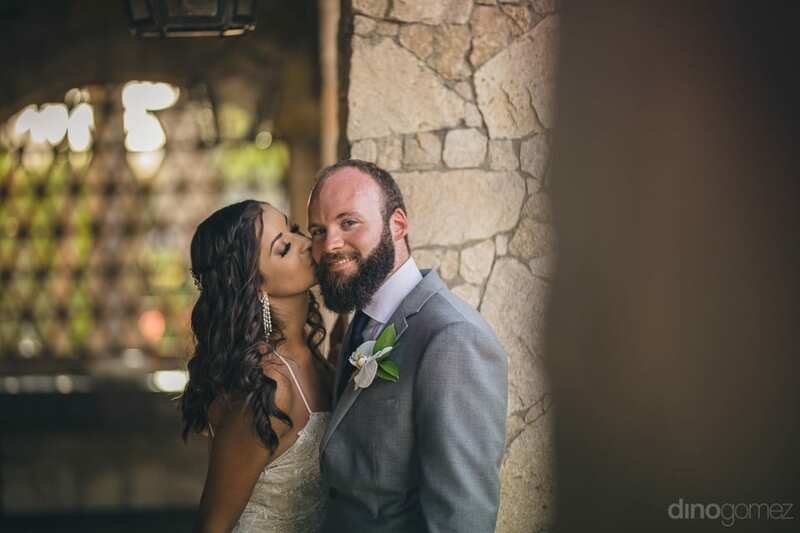 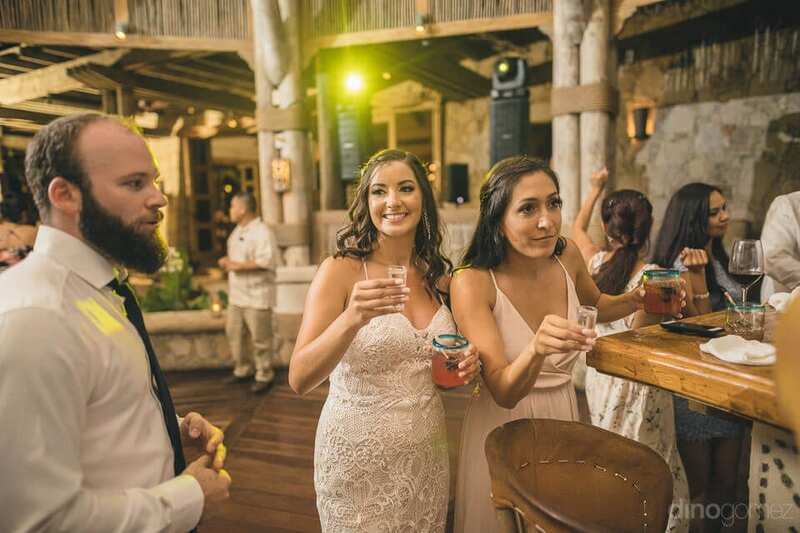 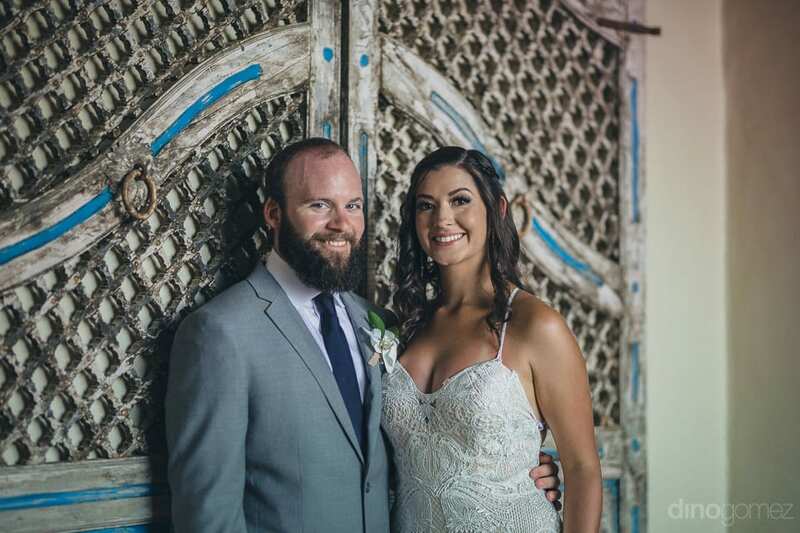 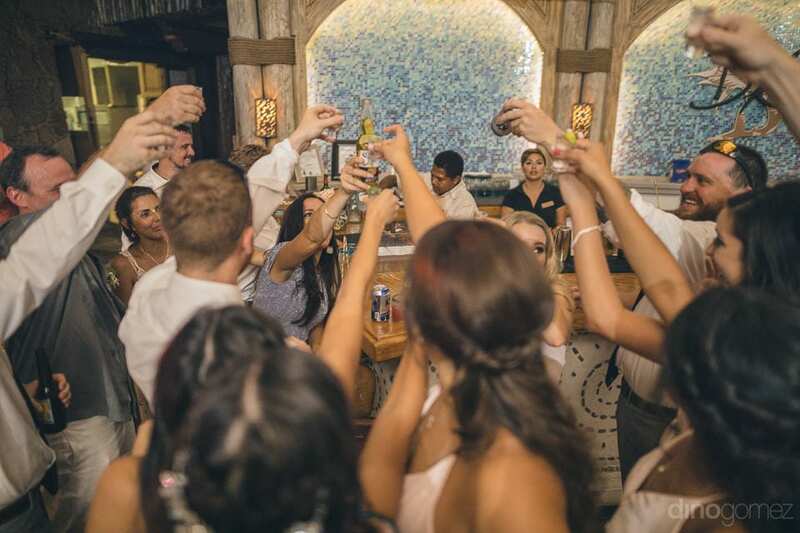 After the wedding, an evening reception party was hosted by the couple at the amazing Hacienda Cocina y Cantina. 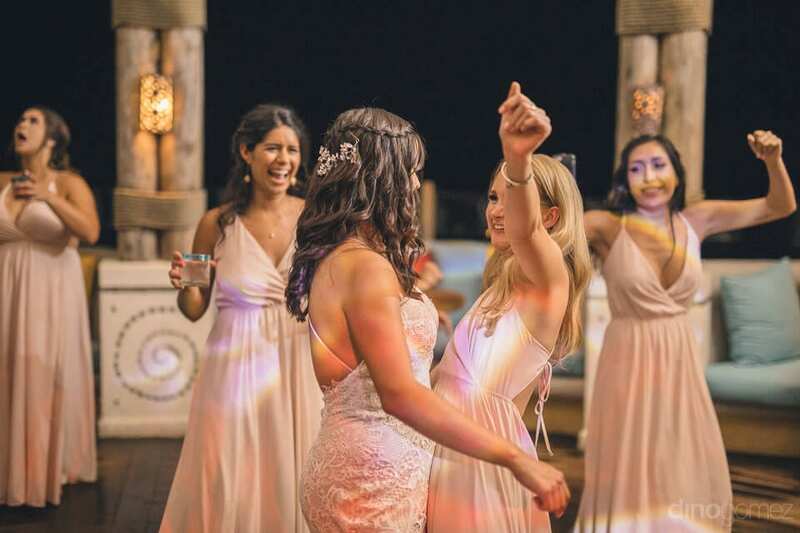 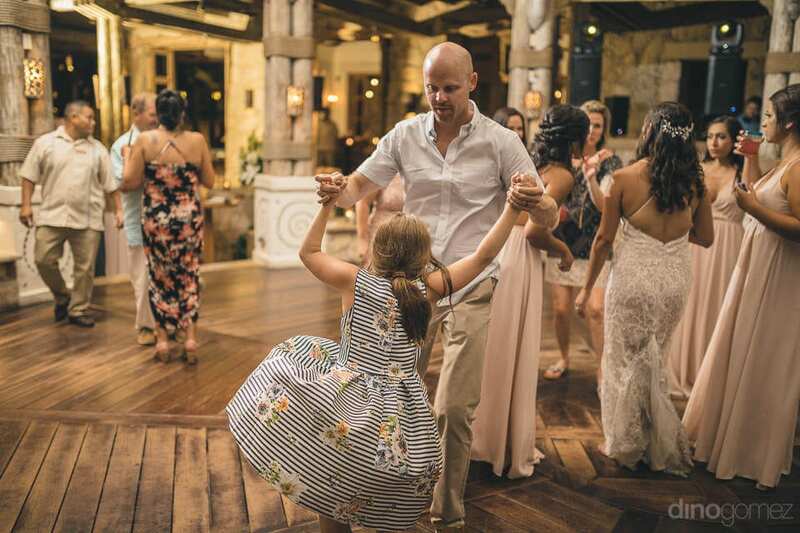 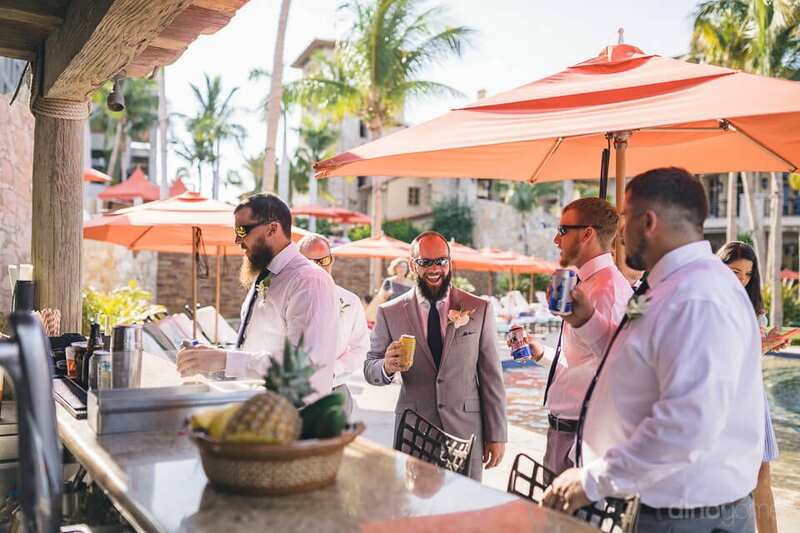 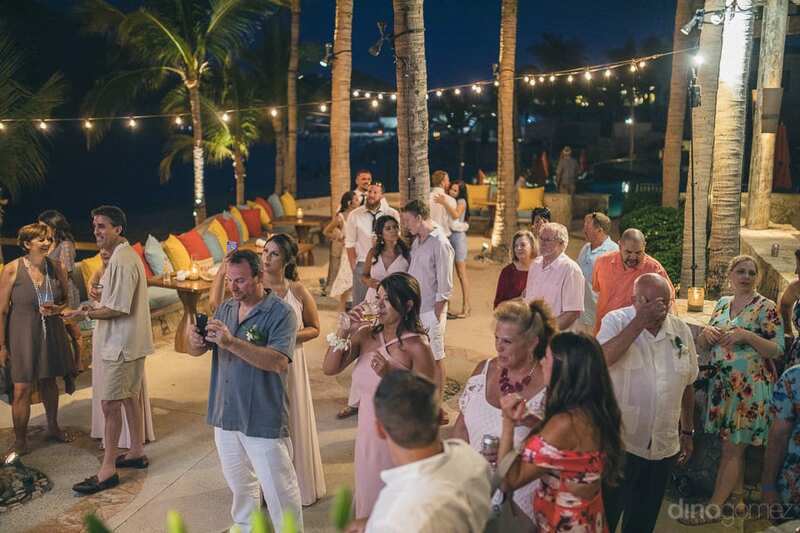 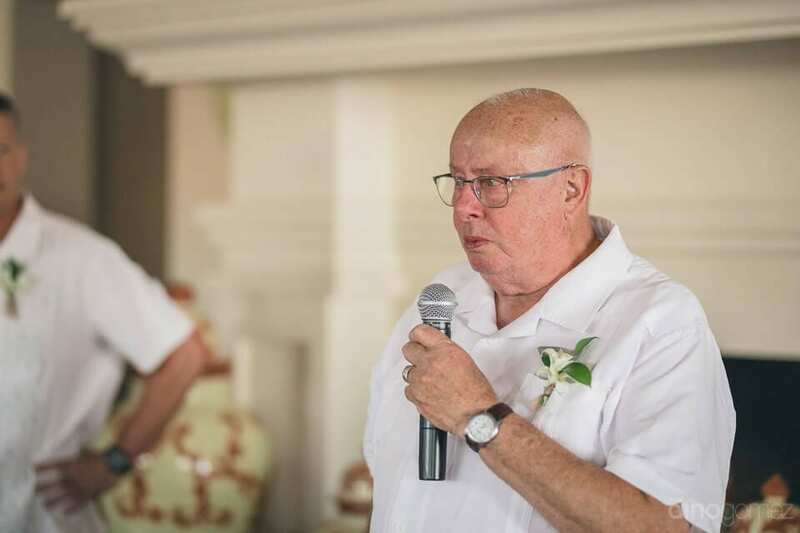 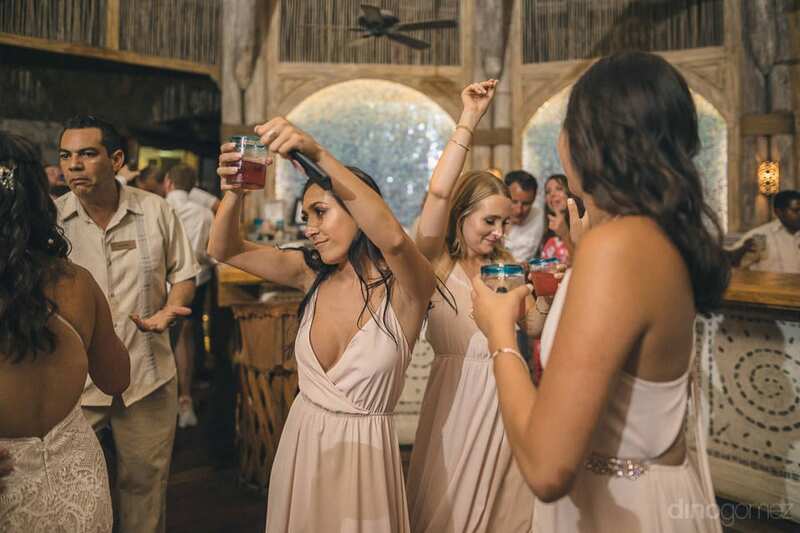 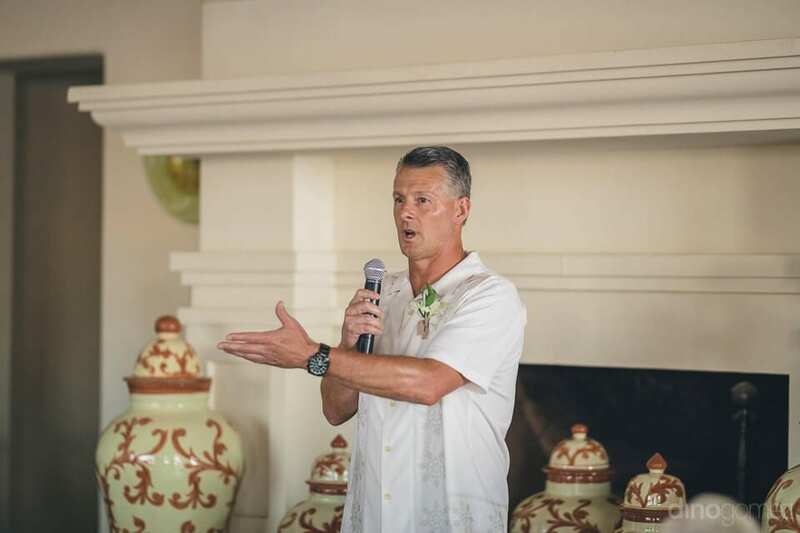 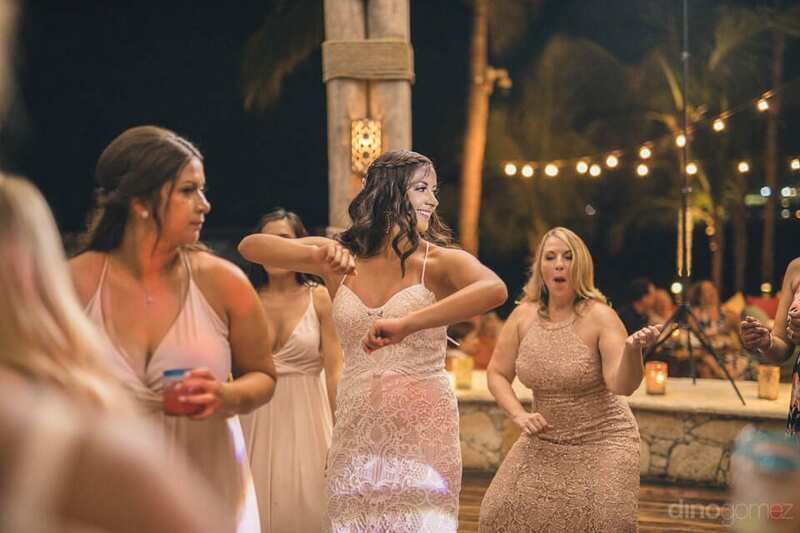 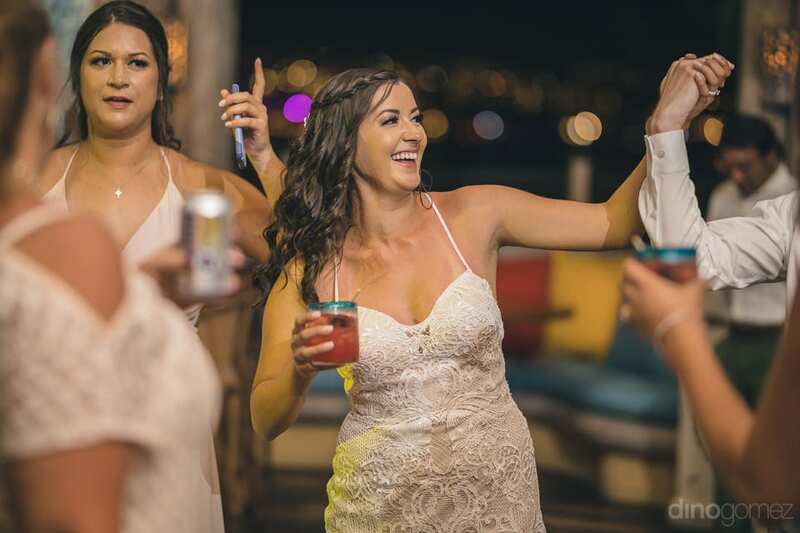 The party was fun-filled and every single wedding guest grooved to the beats of music played by the famous Cabo Weddings DJ. 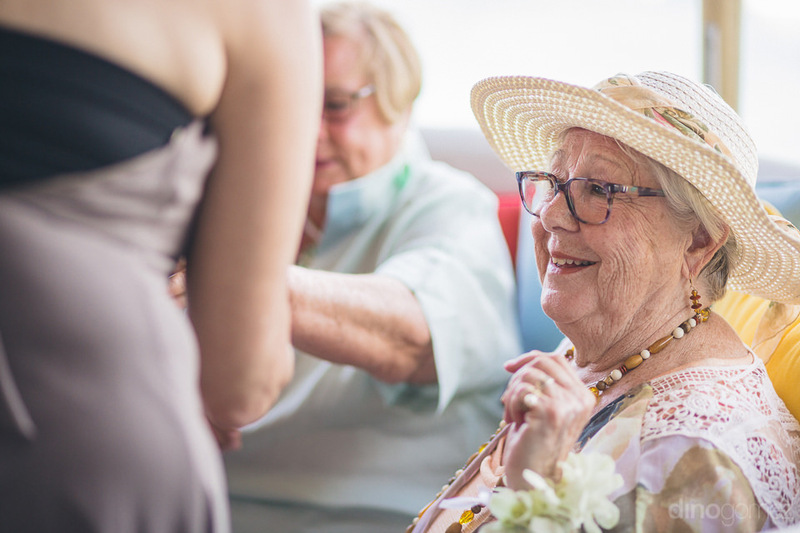 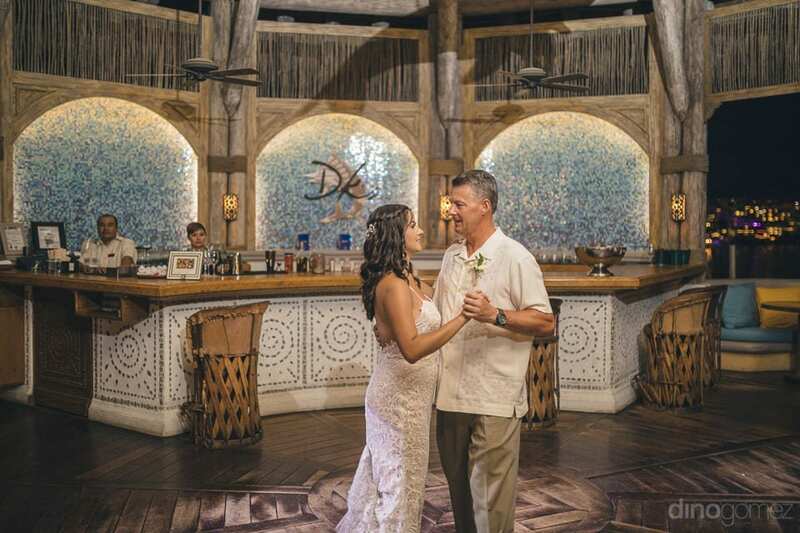 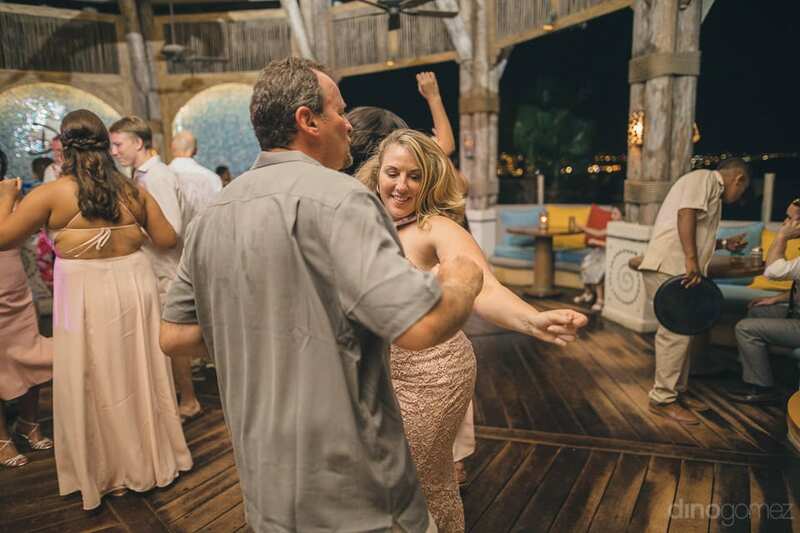 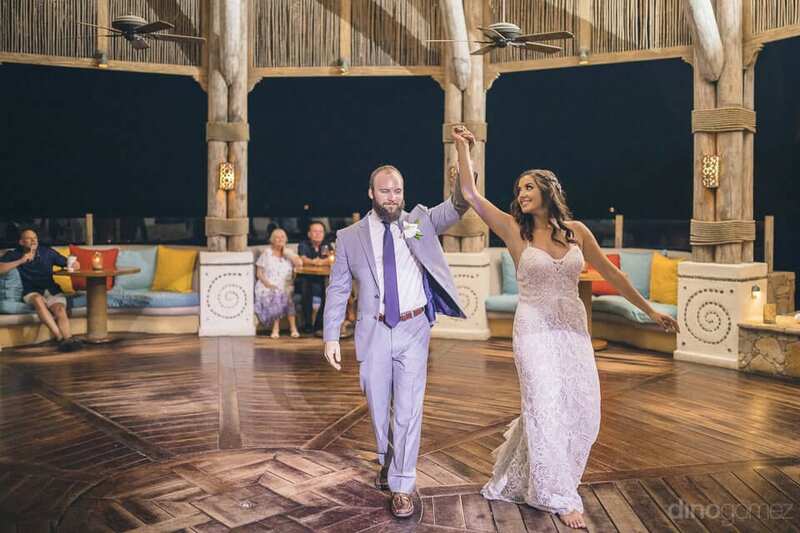 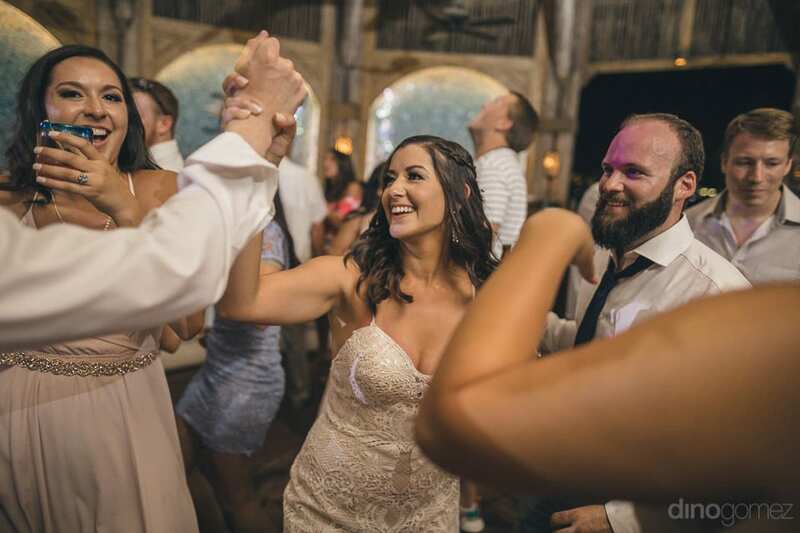 Newly married couple enjoyed the dance party and drinks with their family members and has made memories for a lifetime. 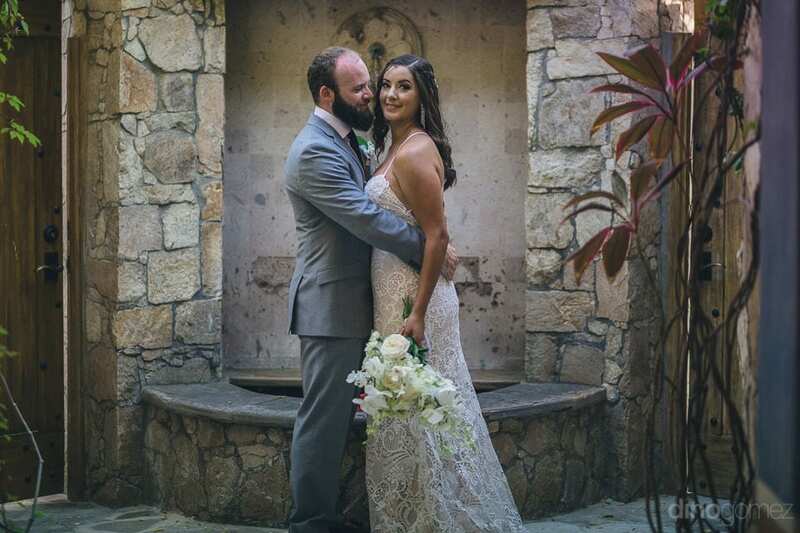 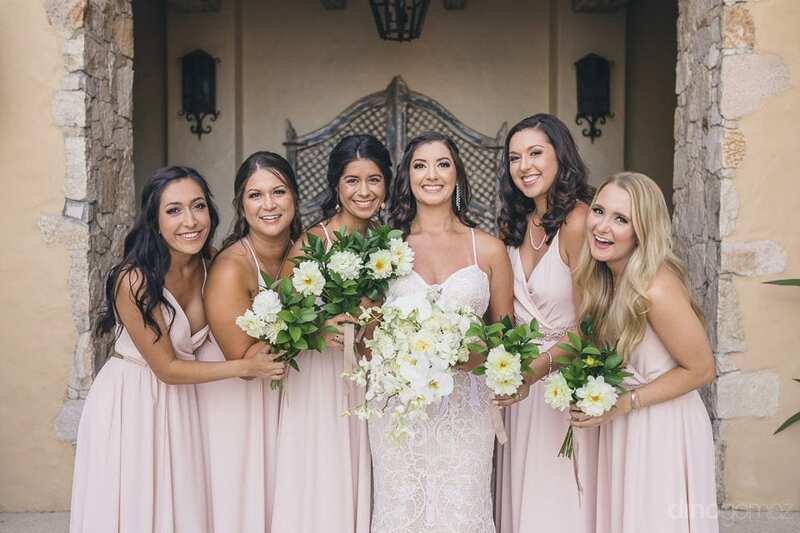 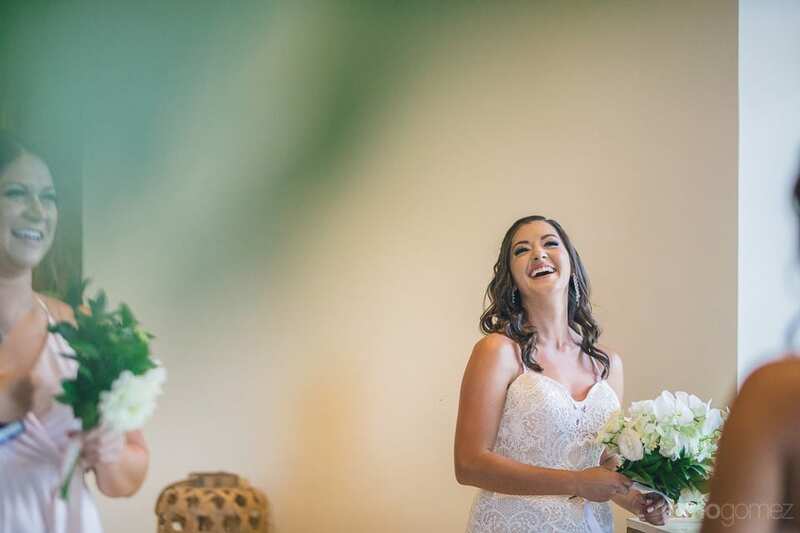 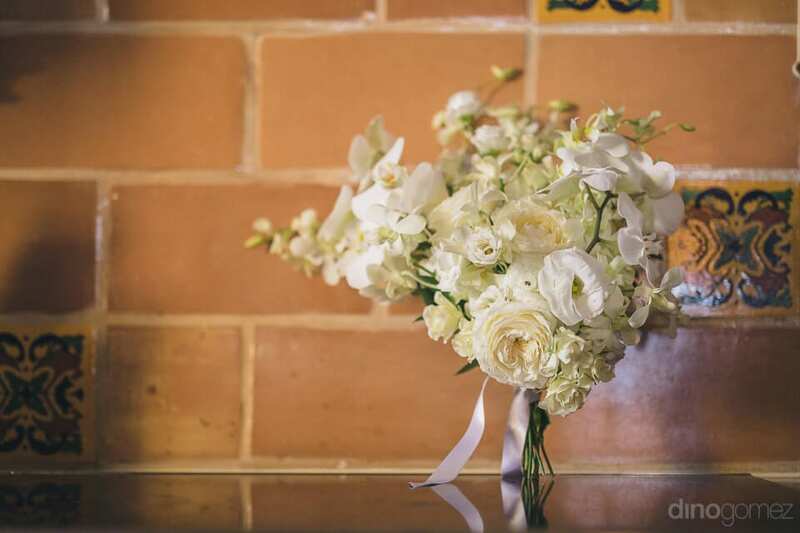 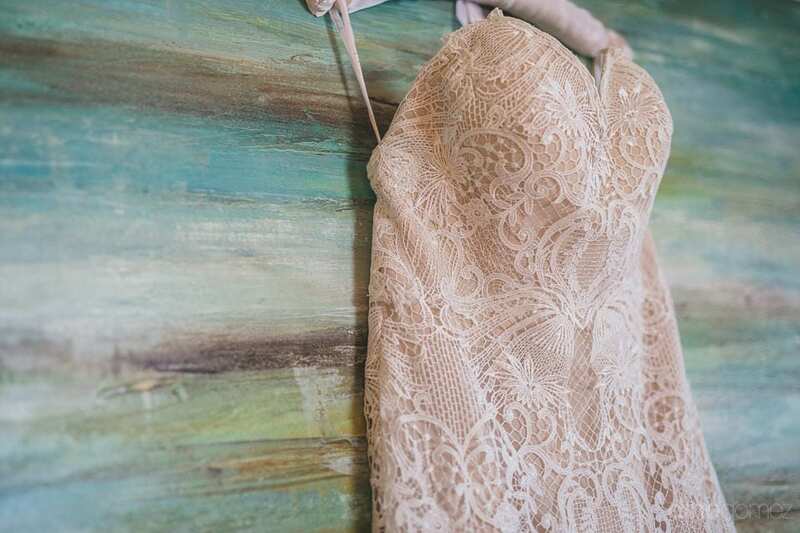 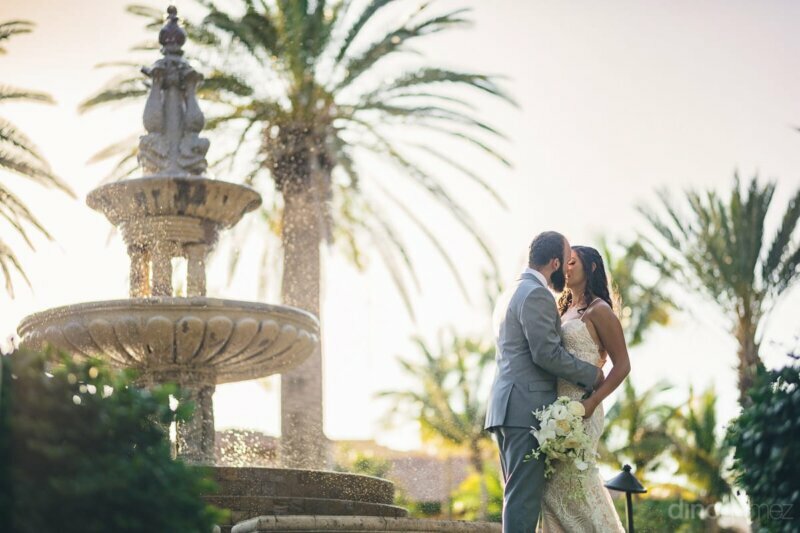 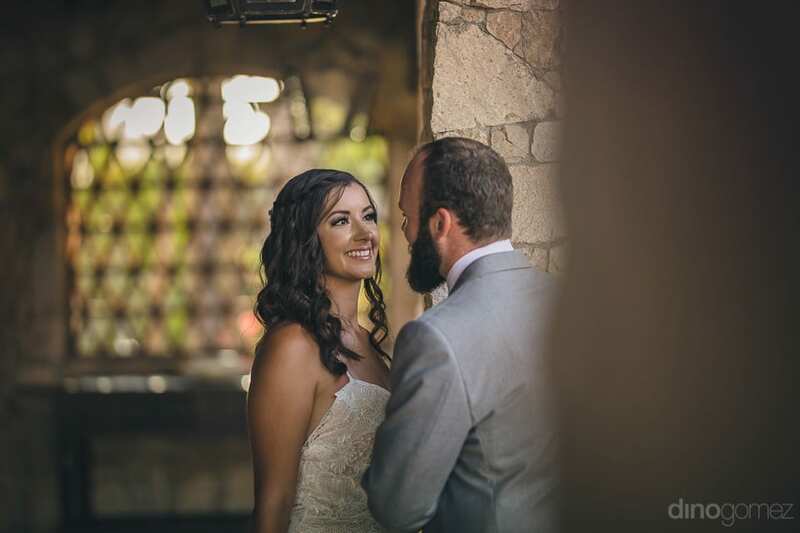 Check these featured weddings as well: Villa Santa Cruz Wedding. 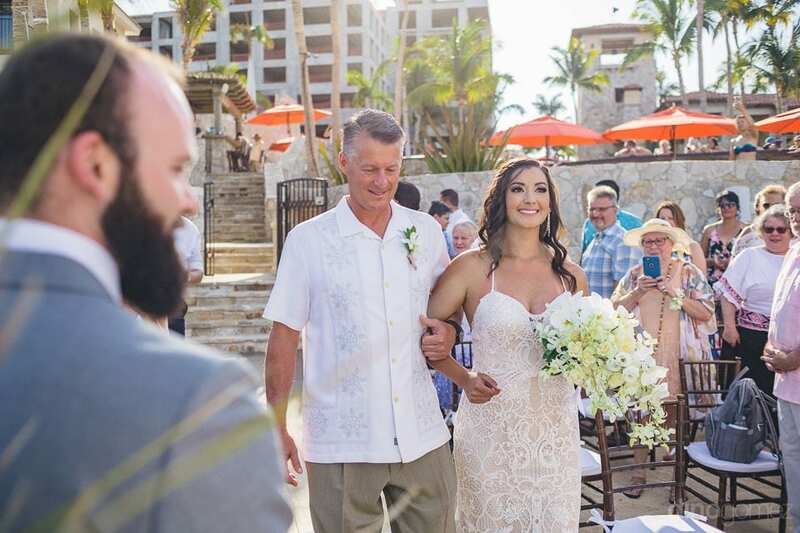 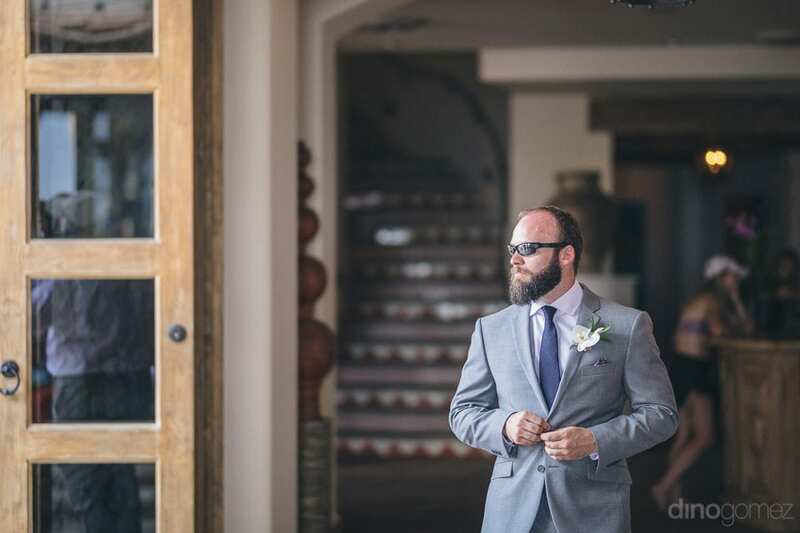 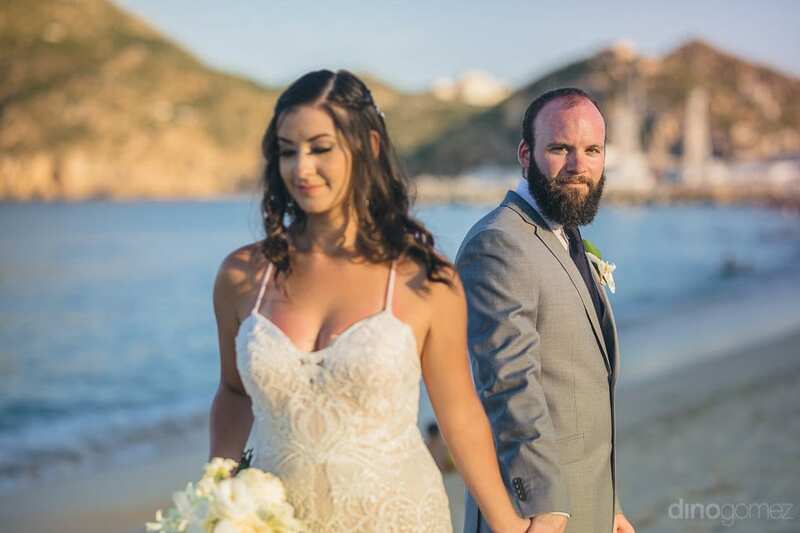 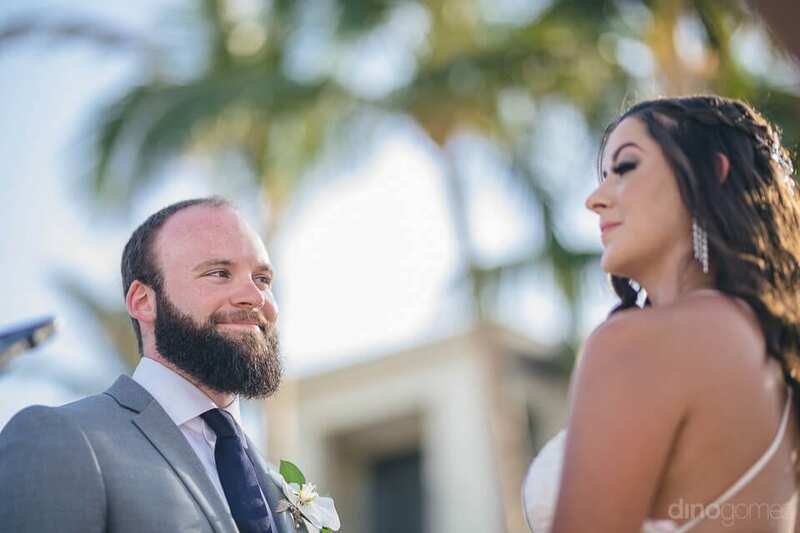 Destination wedding at the Secrets Puerto Los Cabos. 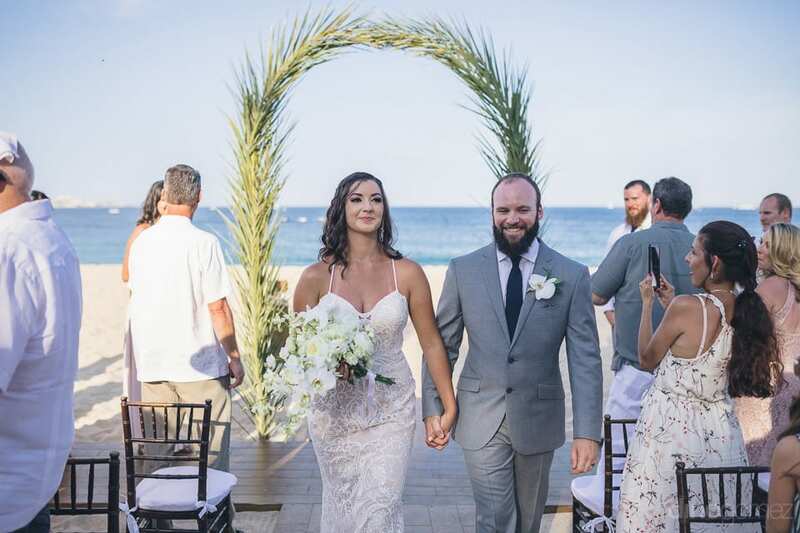 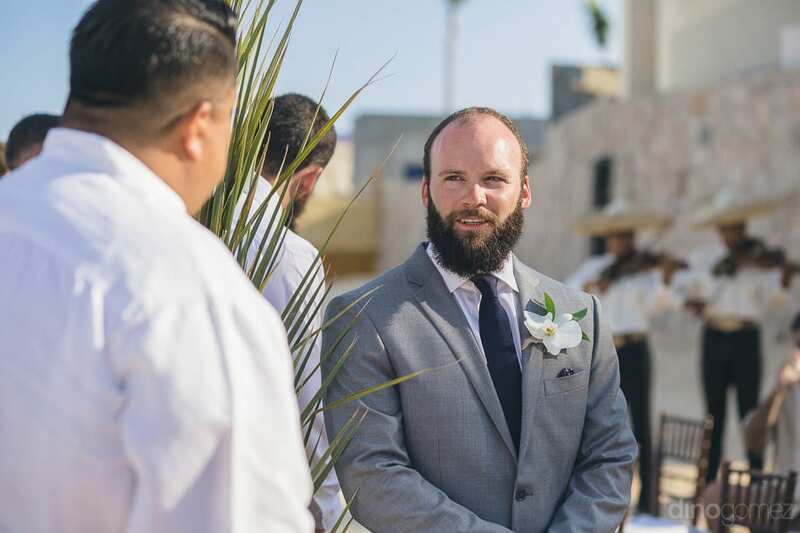 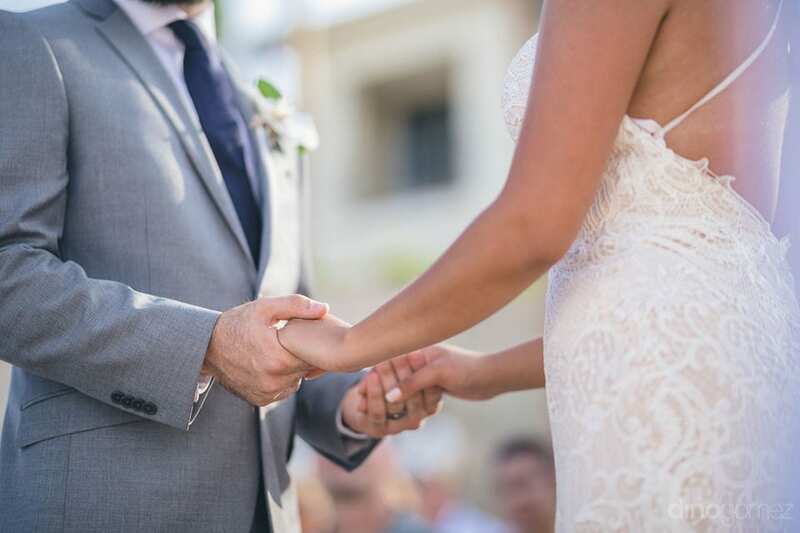 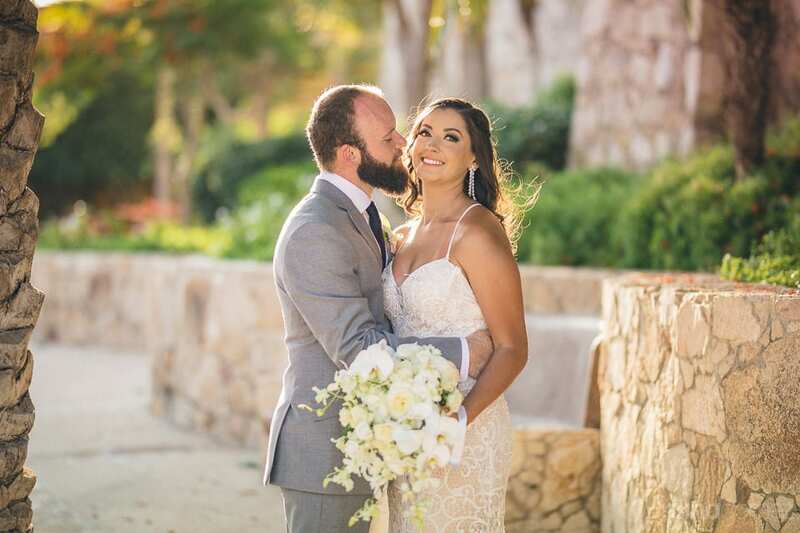 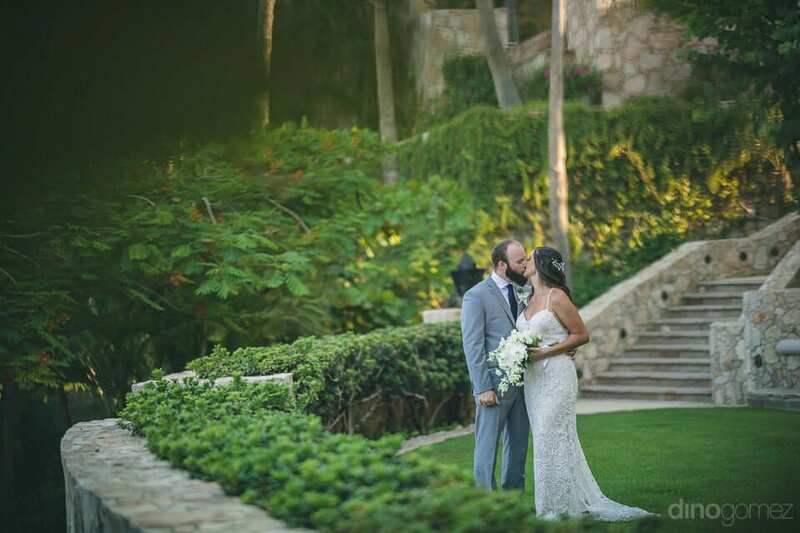 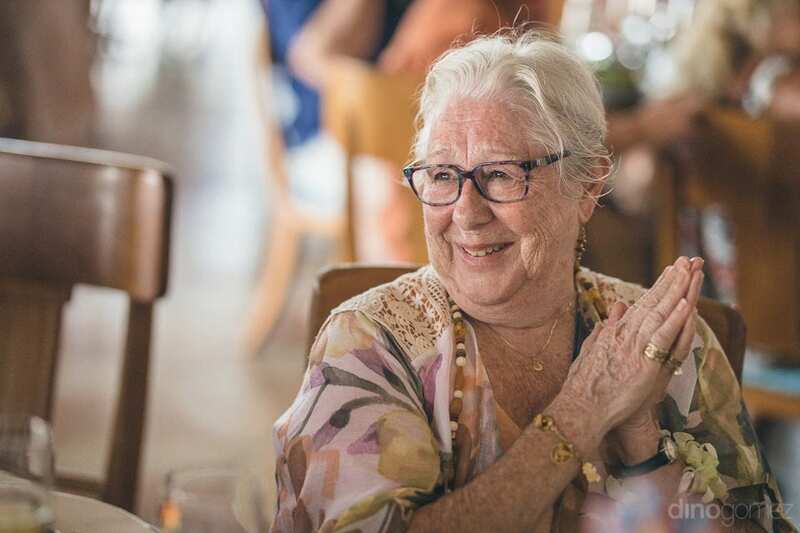 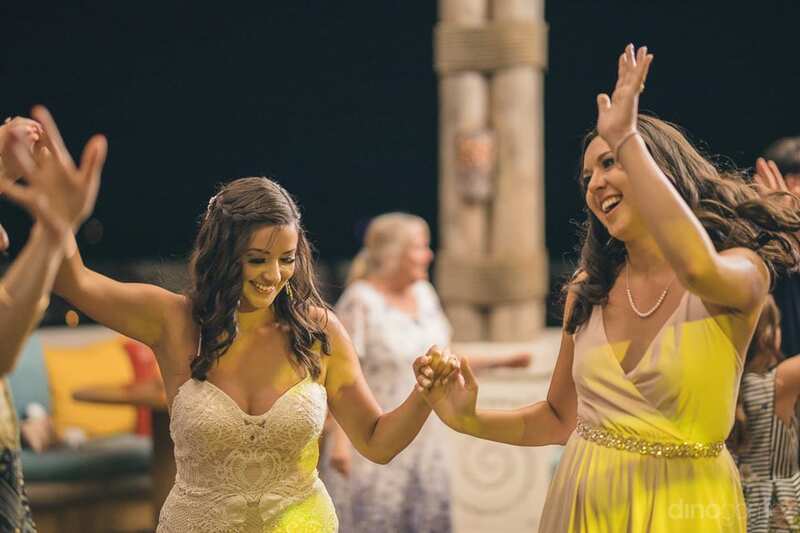 Magical Wedding at the Marquis Los Cabos. 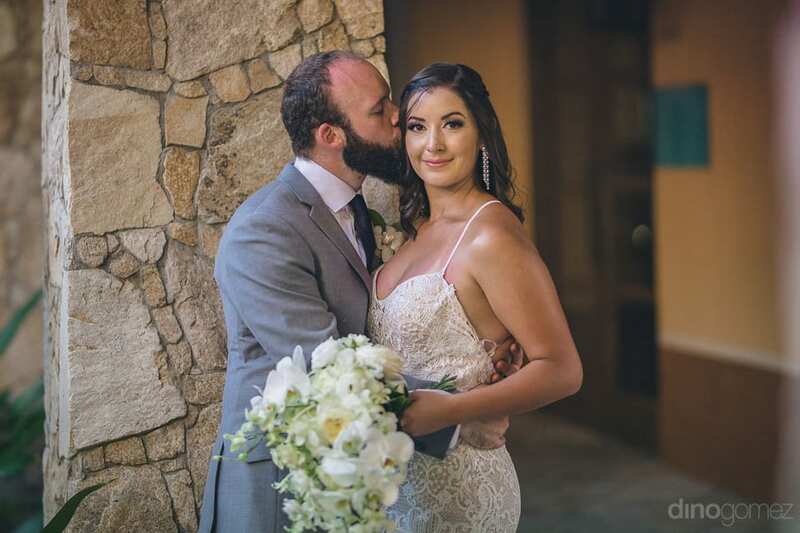 Dino was amazing and captured the love between us perfectly! 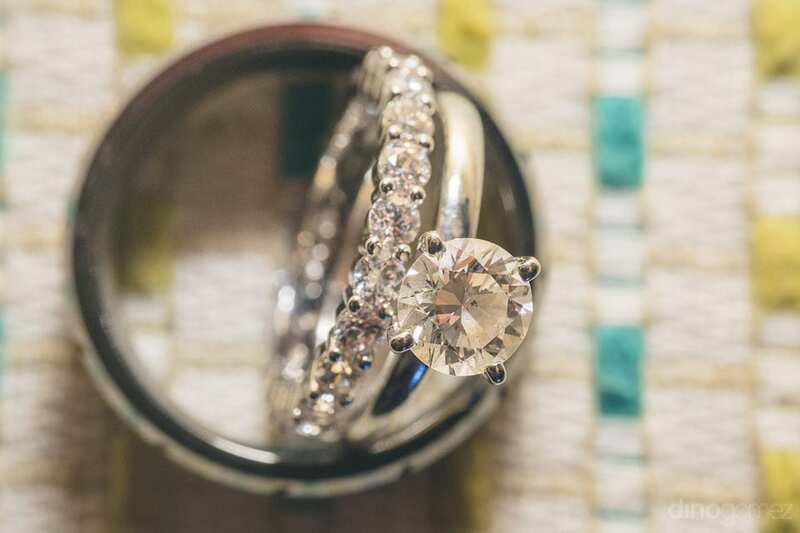 I think Dino’s work is great. 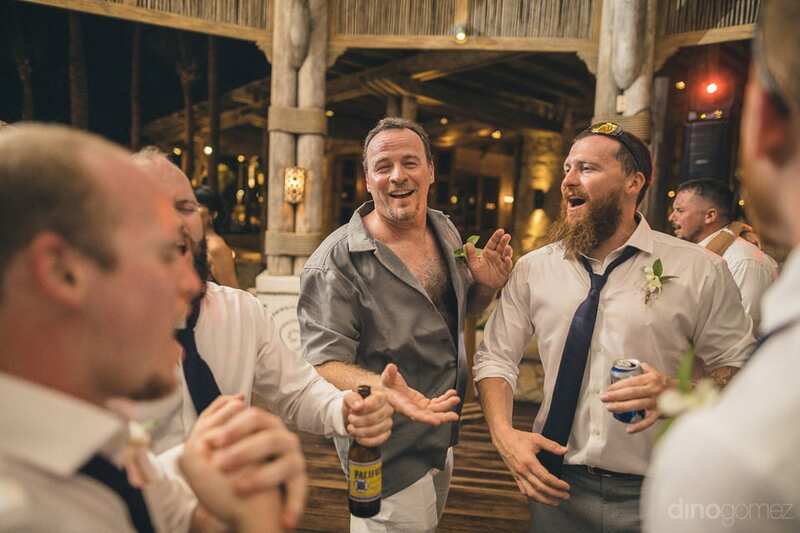 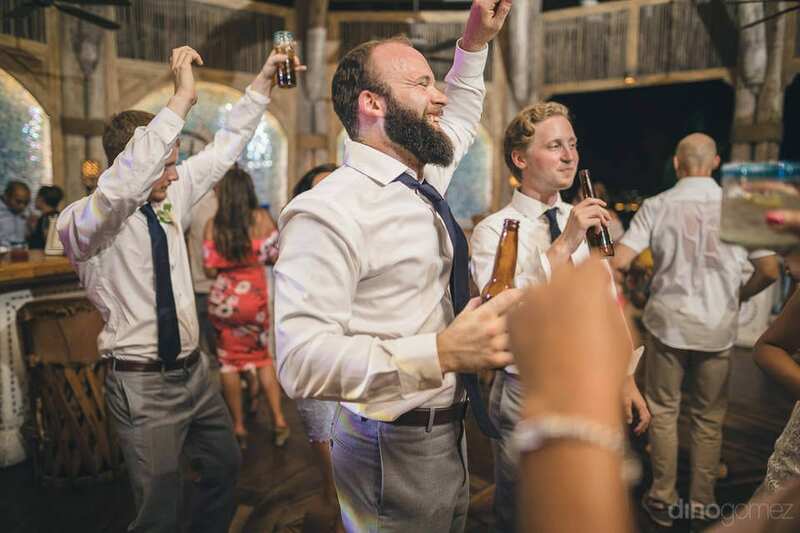 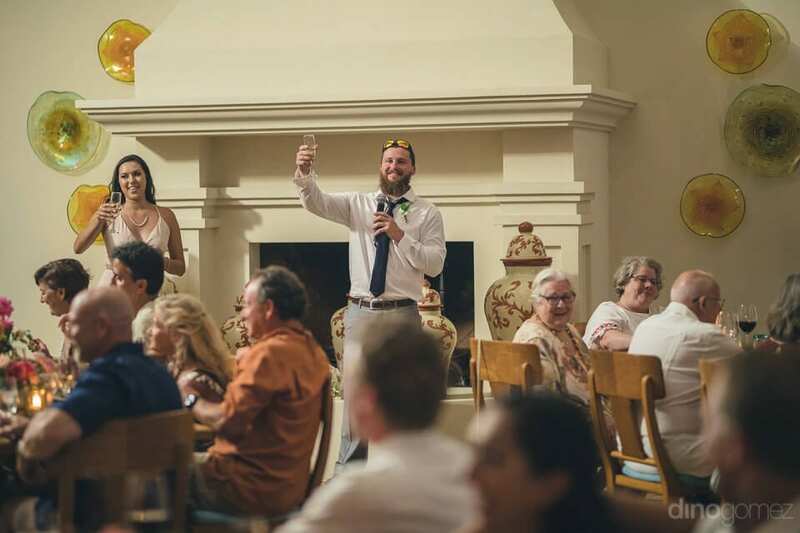 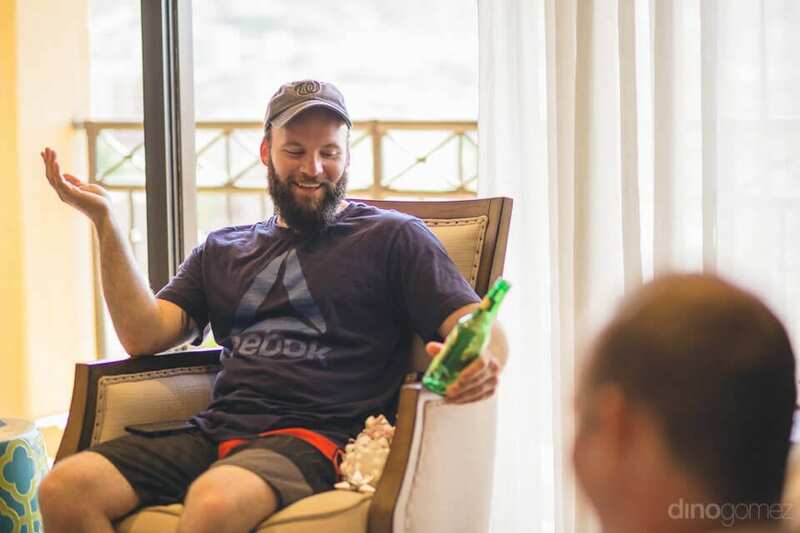 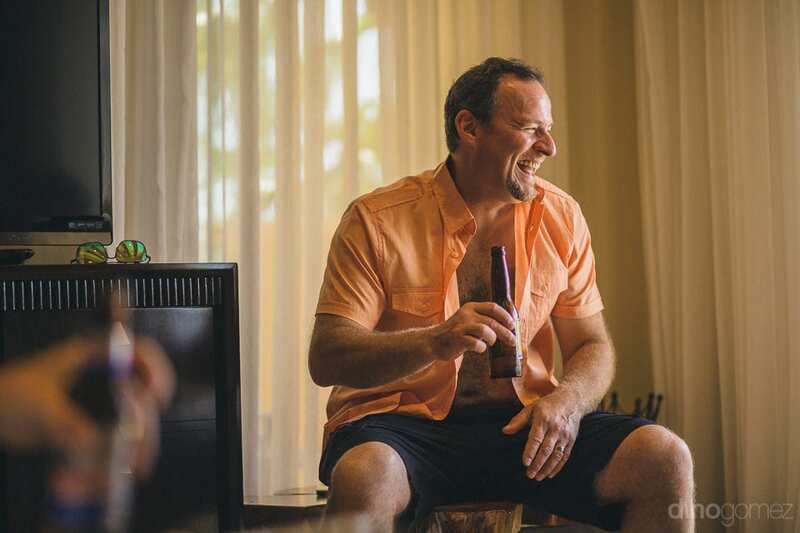 Dino knew exactly how to capture the essence of our perfect day.